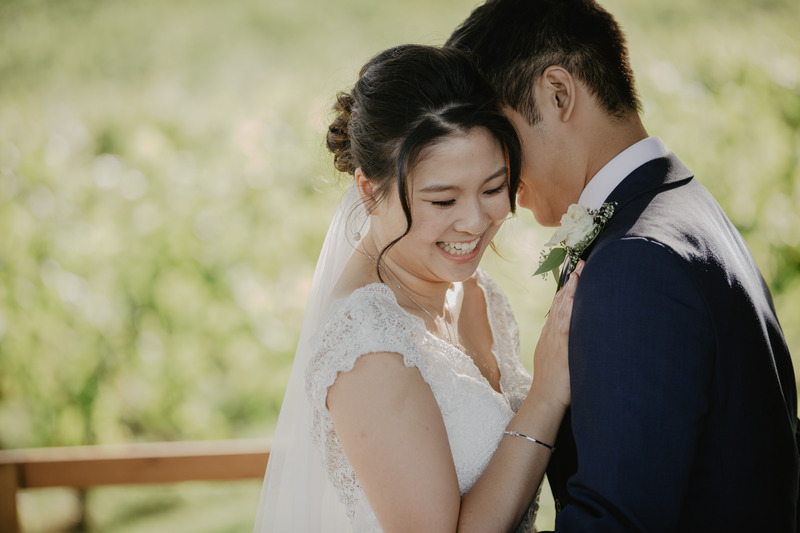 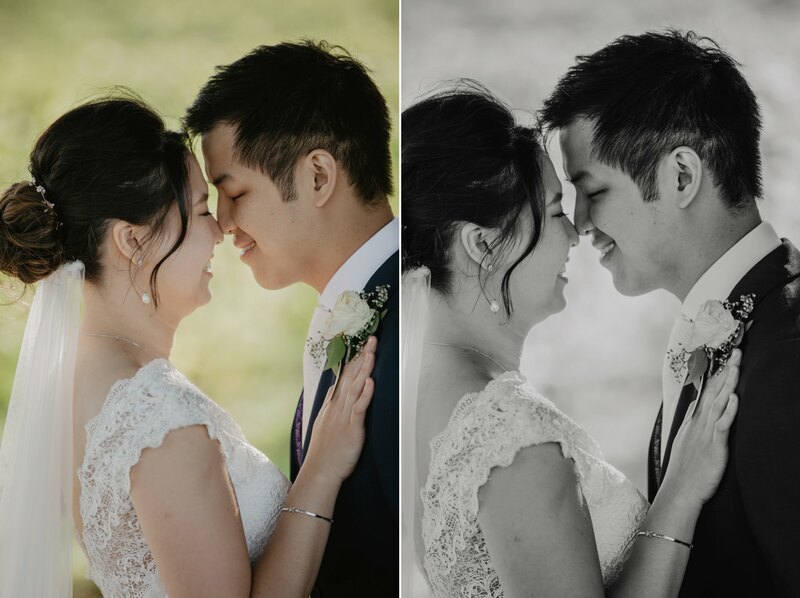 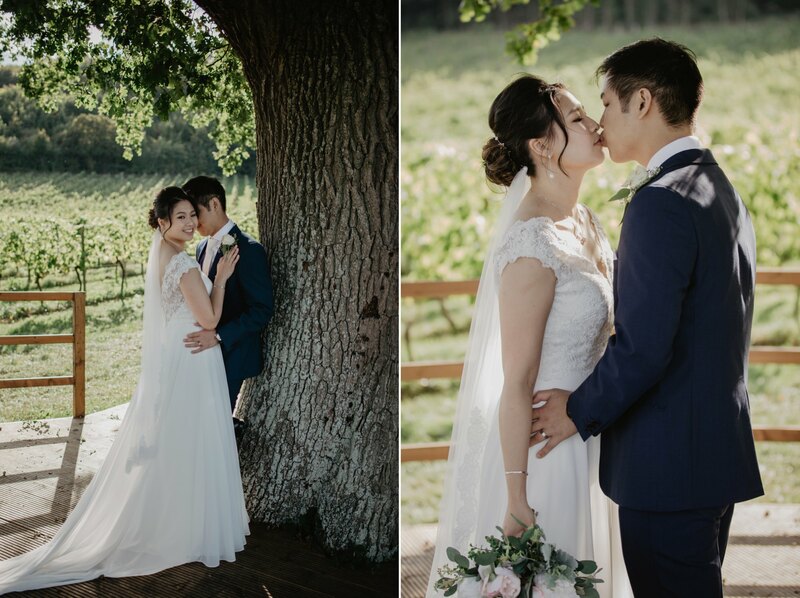 It’s been a while since I had a chance to blog a few of my summer weddings, but now the season has died down I’ve had a bit more time to catch up – and what better to start off with than Jasmine & Vernon’s beautiful vineyard wedding, with the most hilariously fun morning preparations I’ve ever photographed! 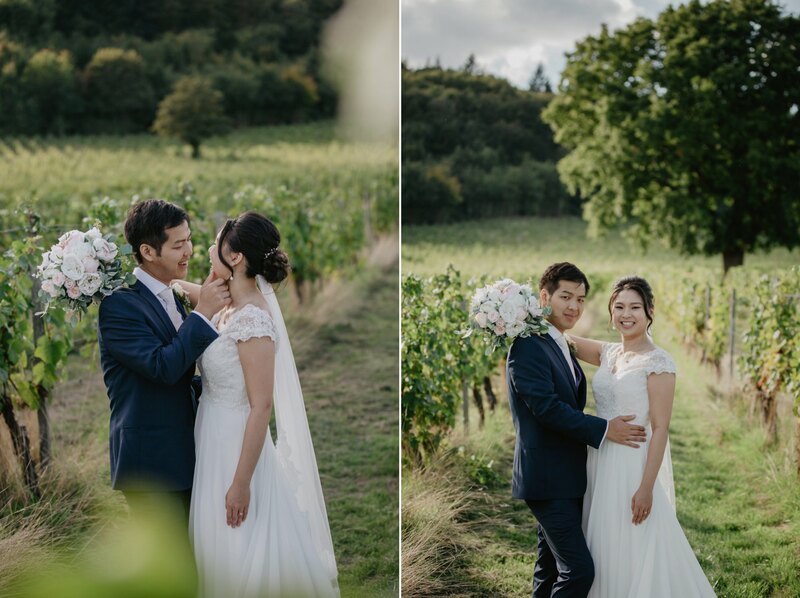 I first met these two when I shot their stunning Surrey Hills engagement shoot earlier this year. 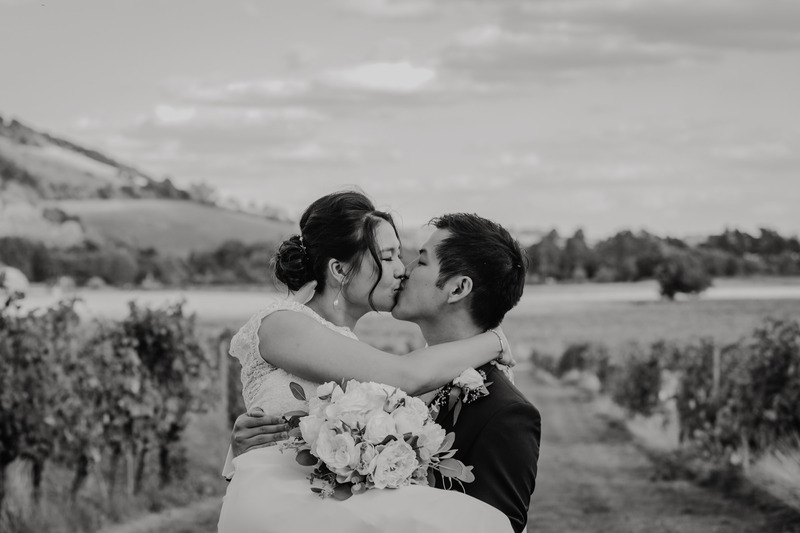 It was here they filled me in on how their day would unfold… And they didn’t disappoint! 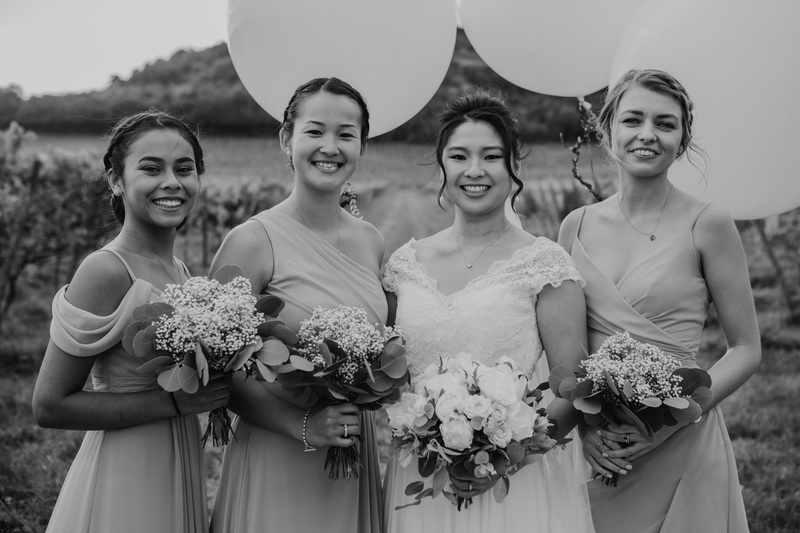 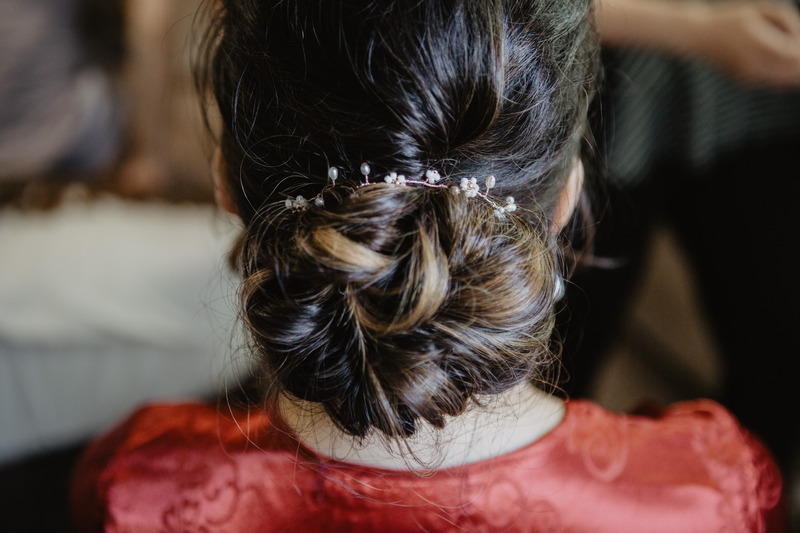 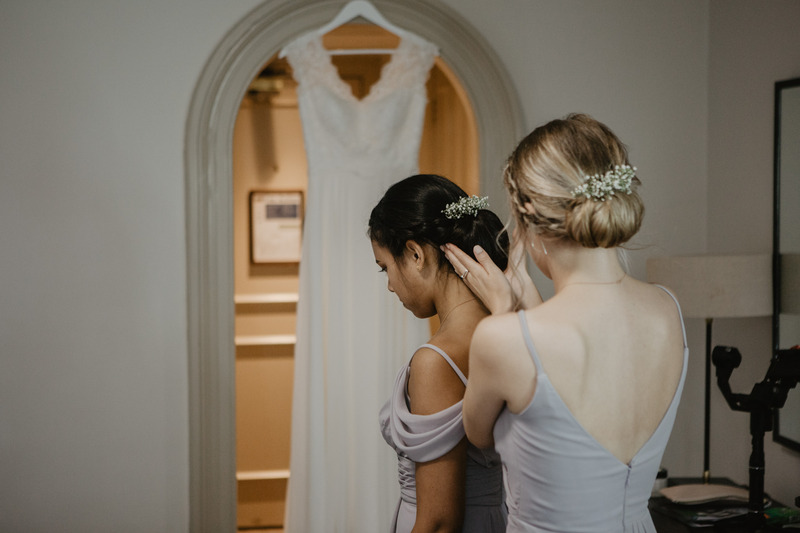 Jasmine and her three bridesmaids got ready at her parents’ house – but the curlers were barely out of her hair before we heard a commotion outside. 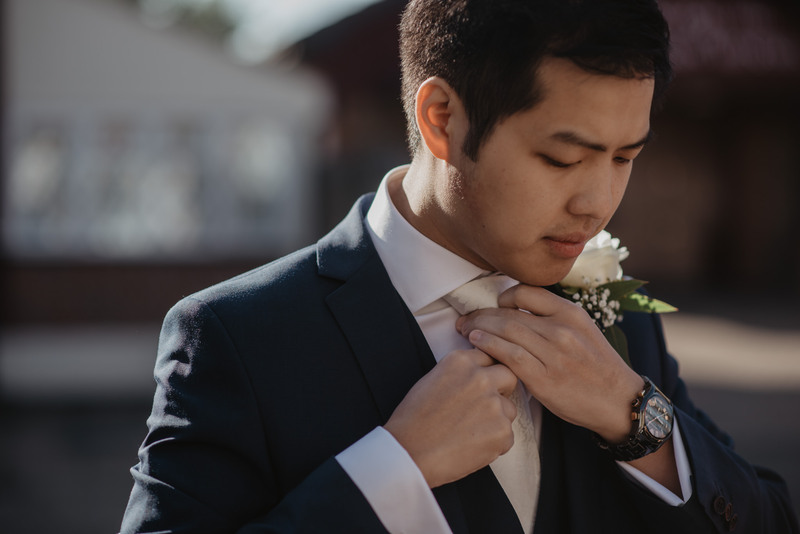 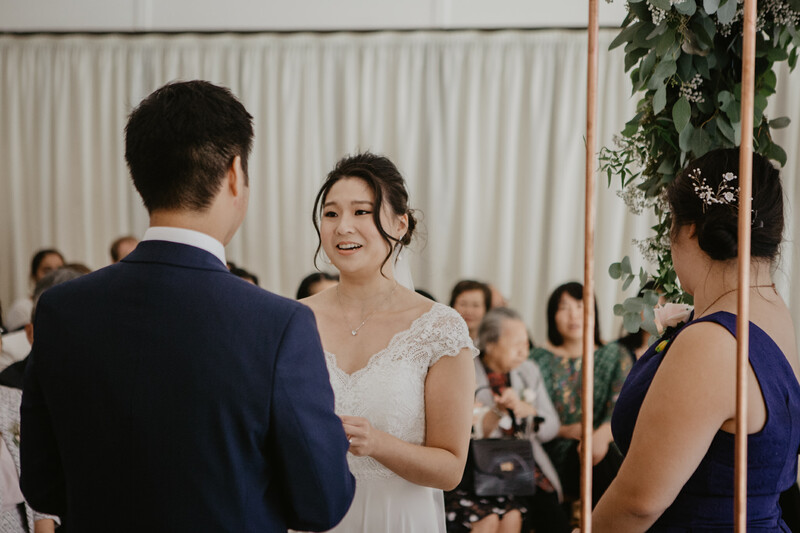 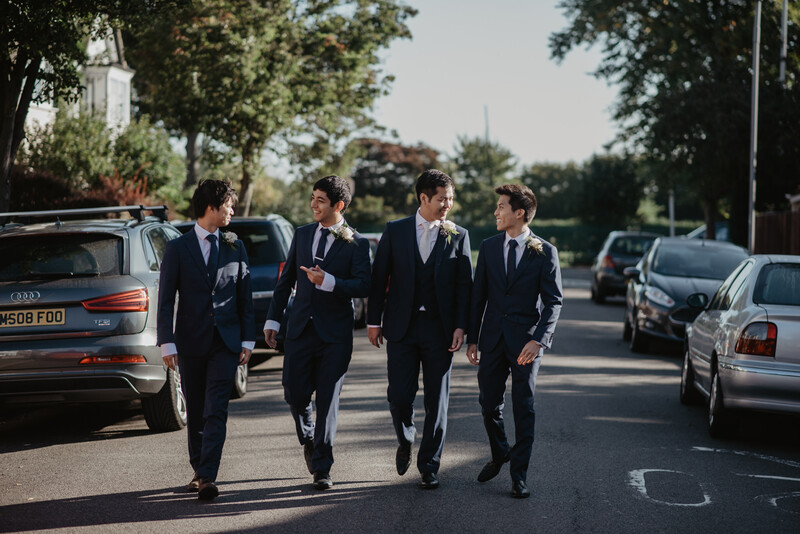 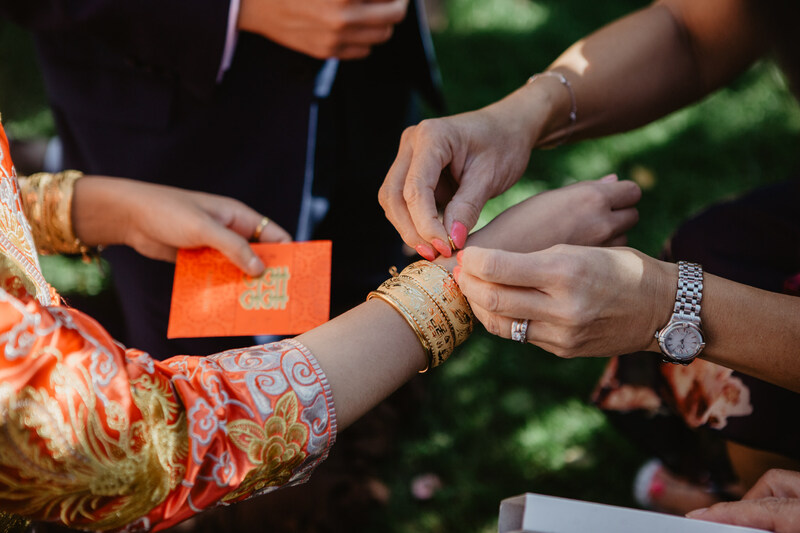 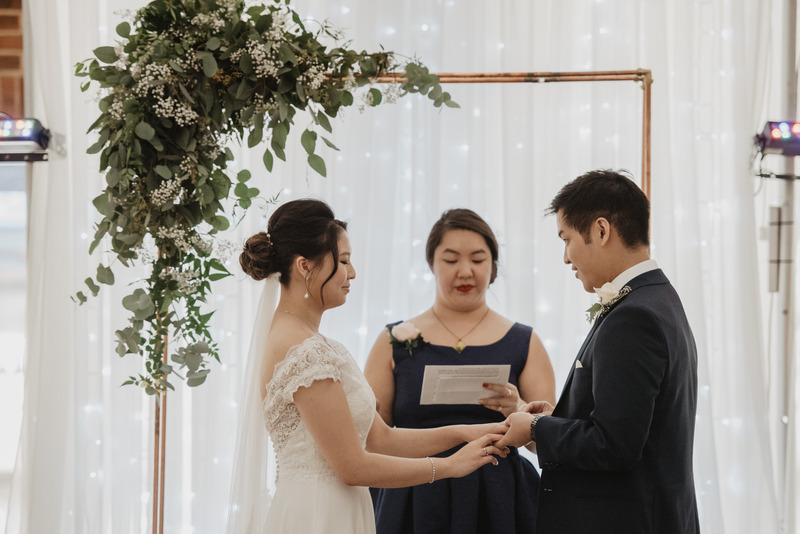 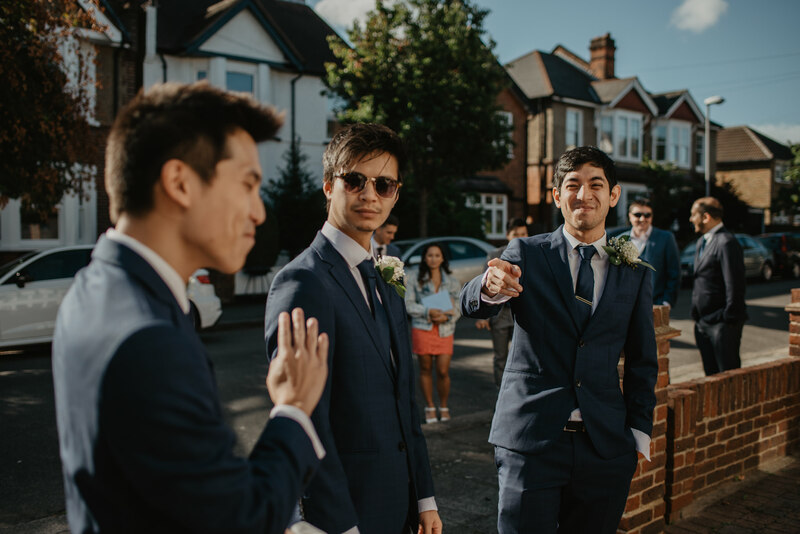 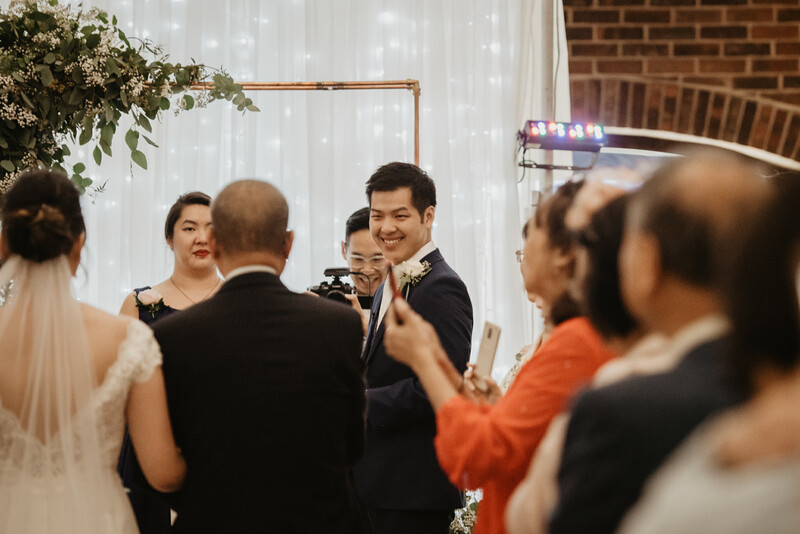 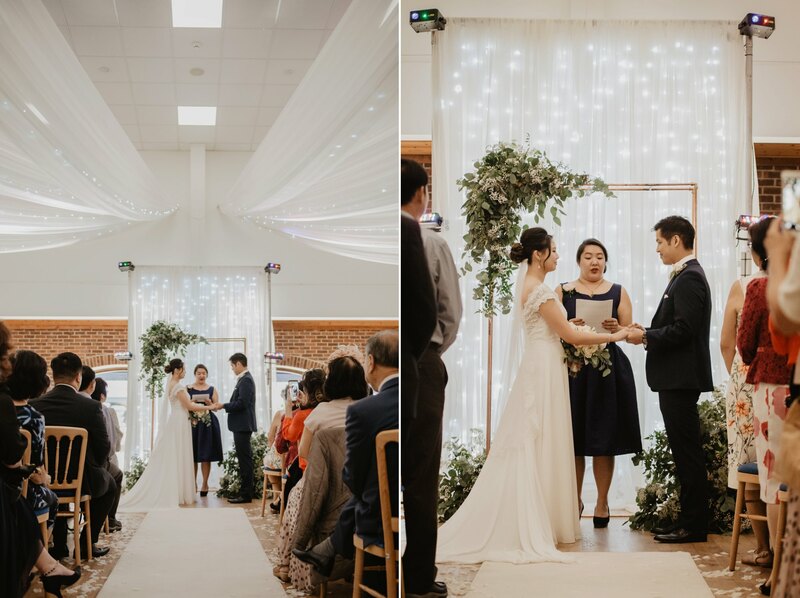 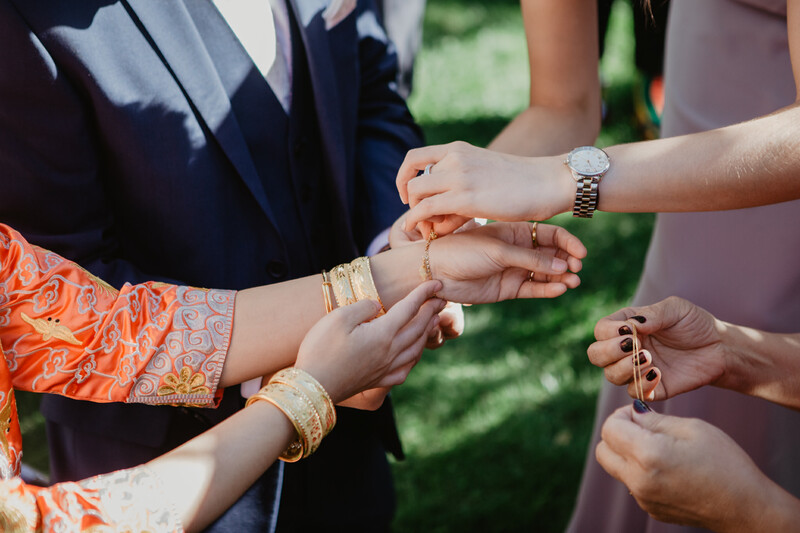 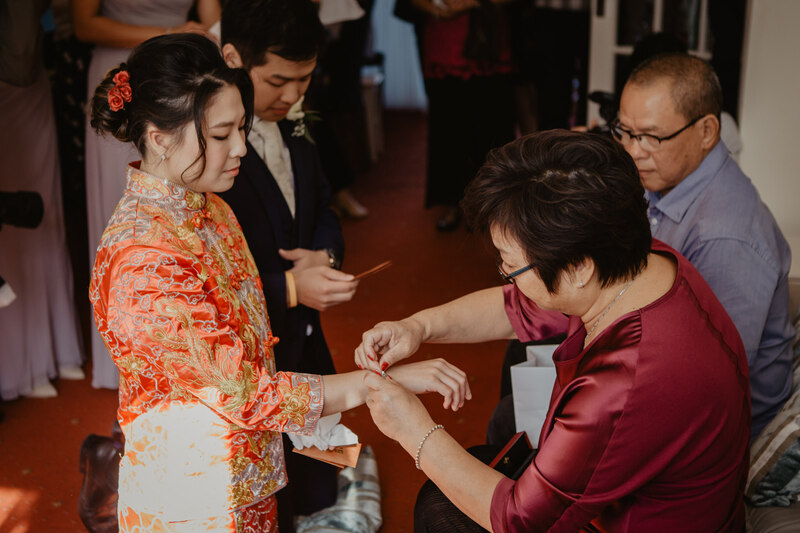 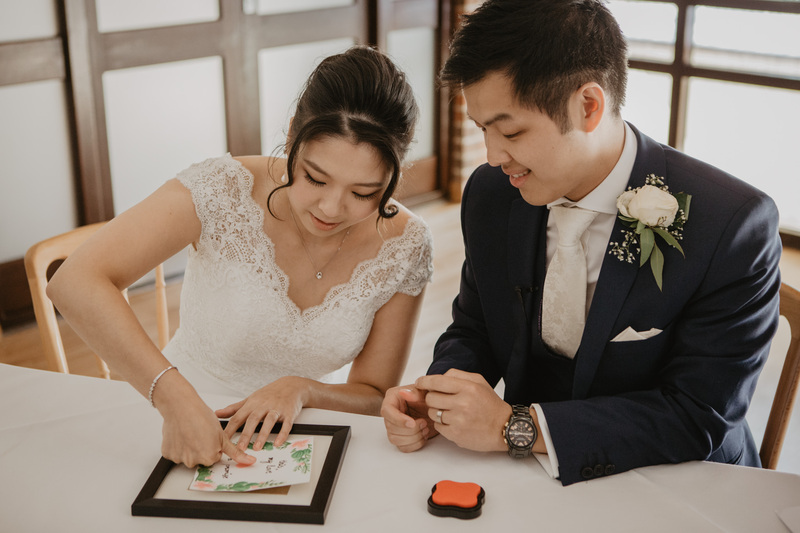 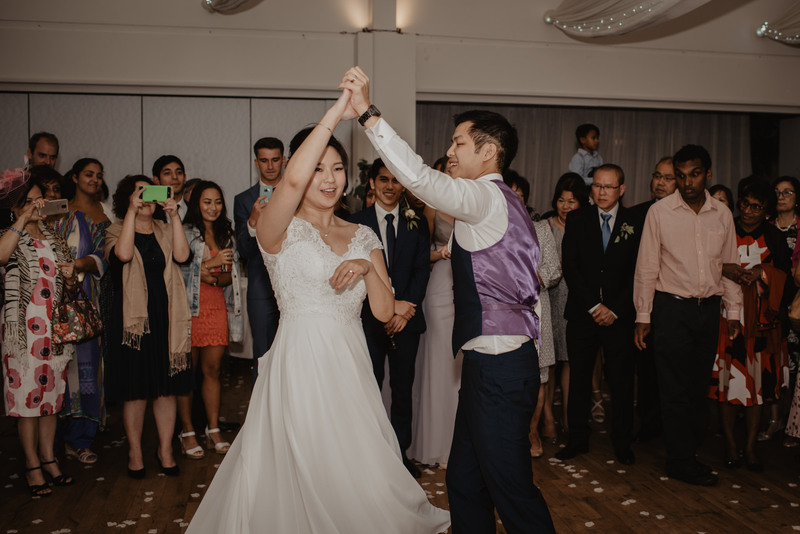 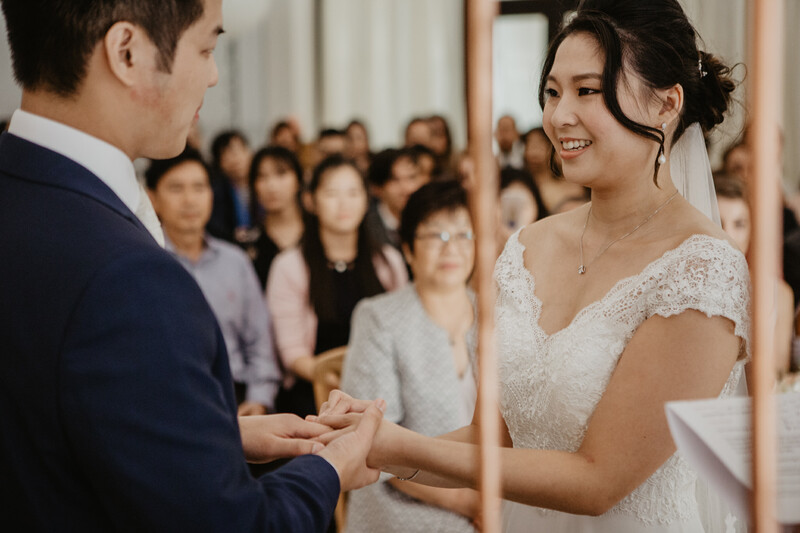 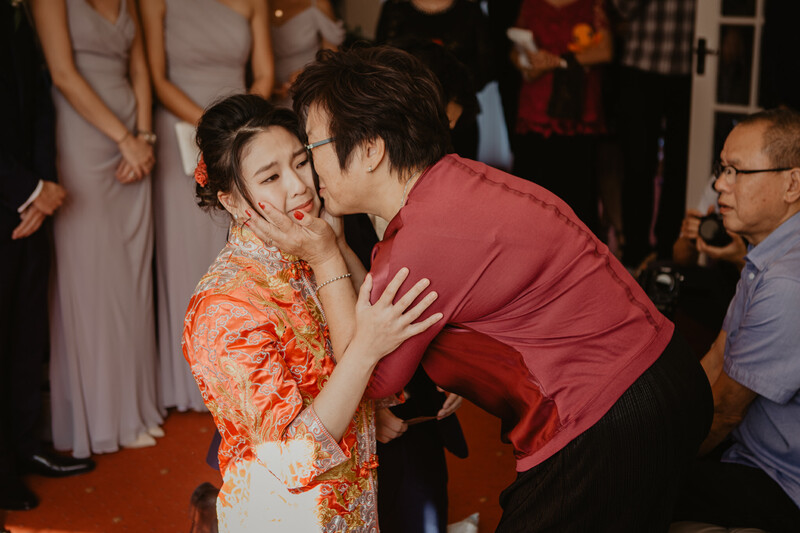 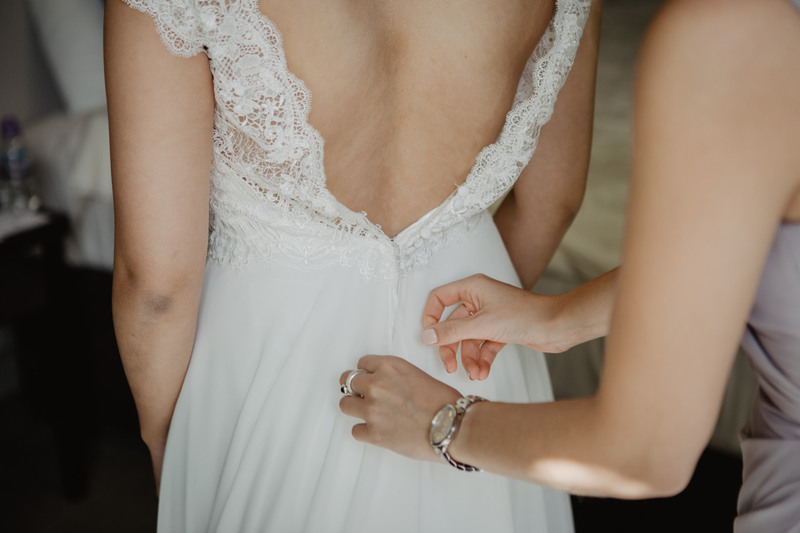 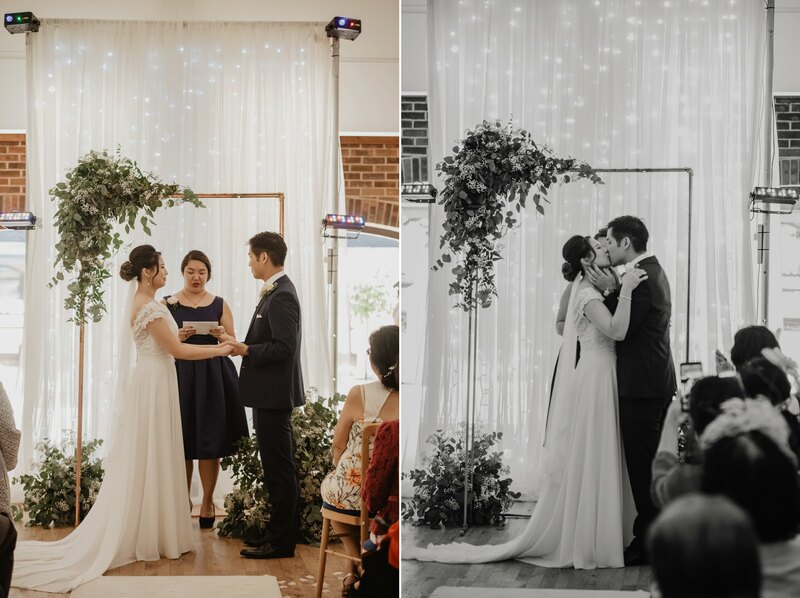 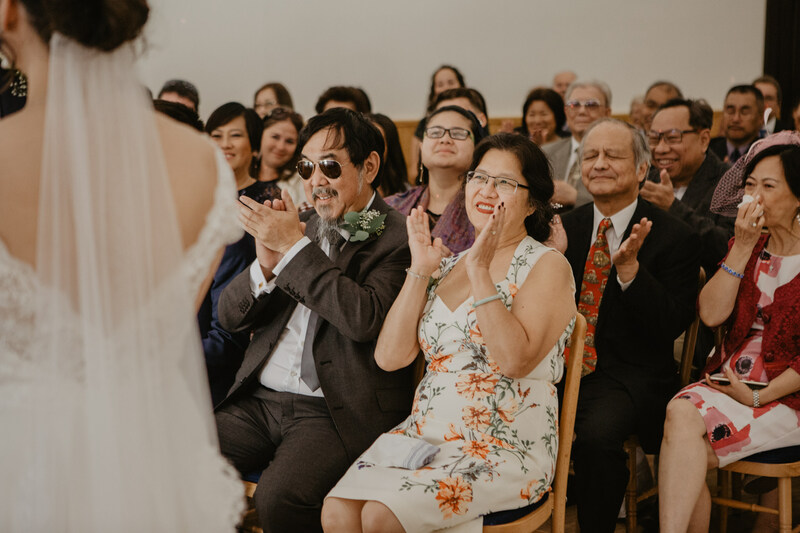 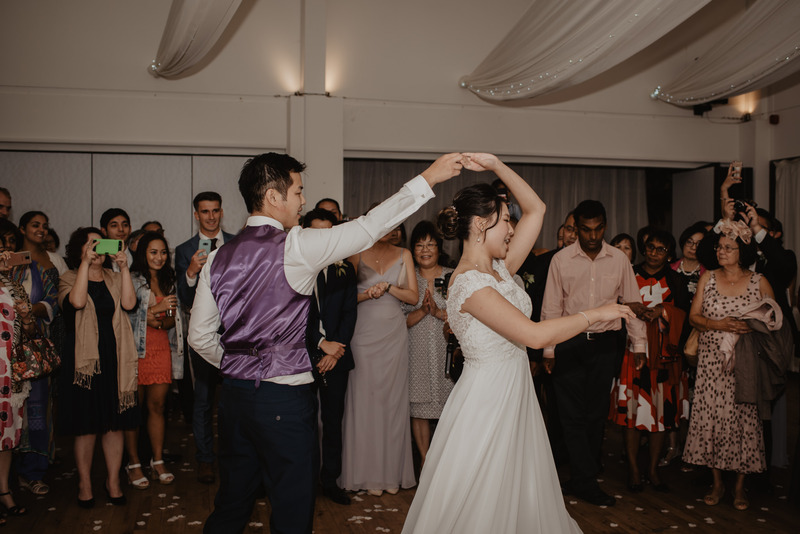 (In Chinese culture, it’s a wedding tradition for the Groom to have to prove his love and commitment by taking part in “door games” hosted by the bridesmaids, where he must earn his way into the home to collect his Bride.) 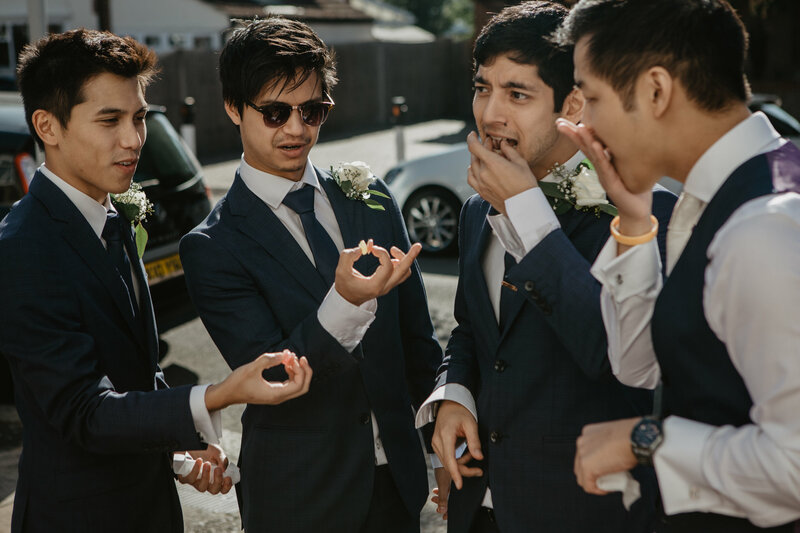 But really, it’s a chance for the girls to humiliate the boys! 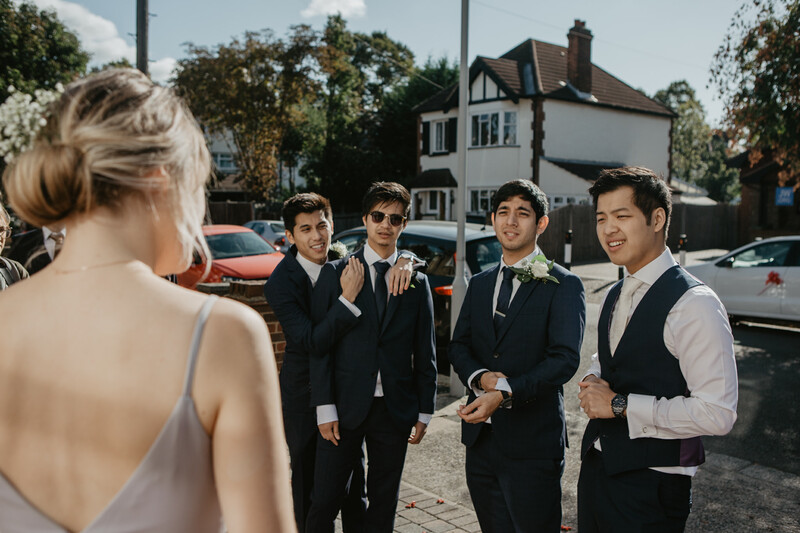 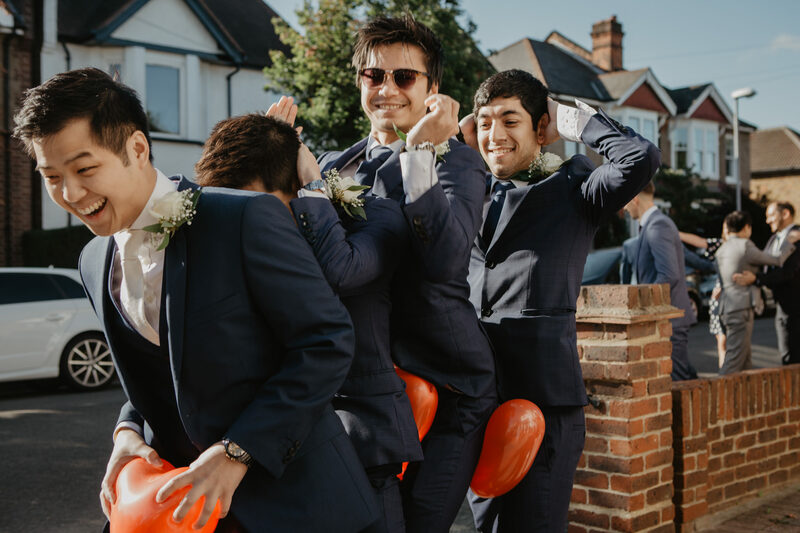 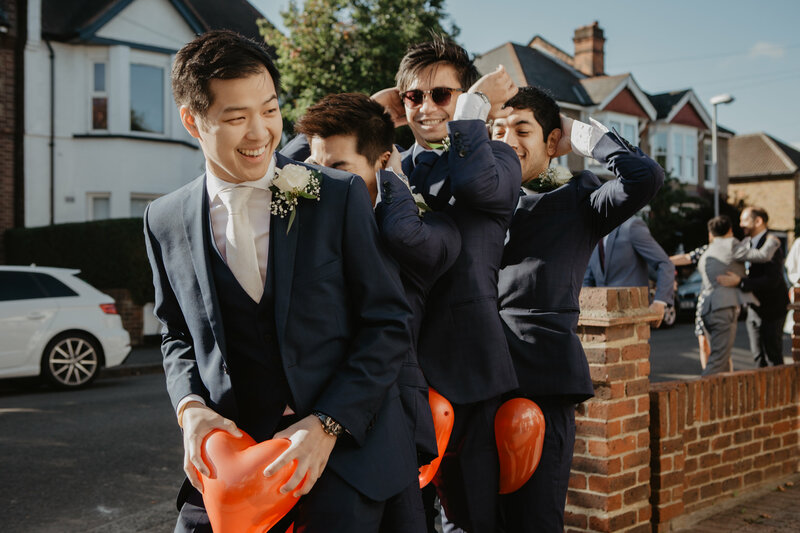 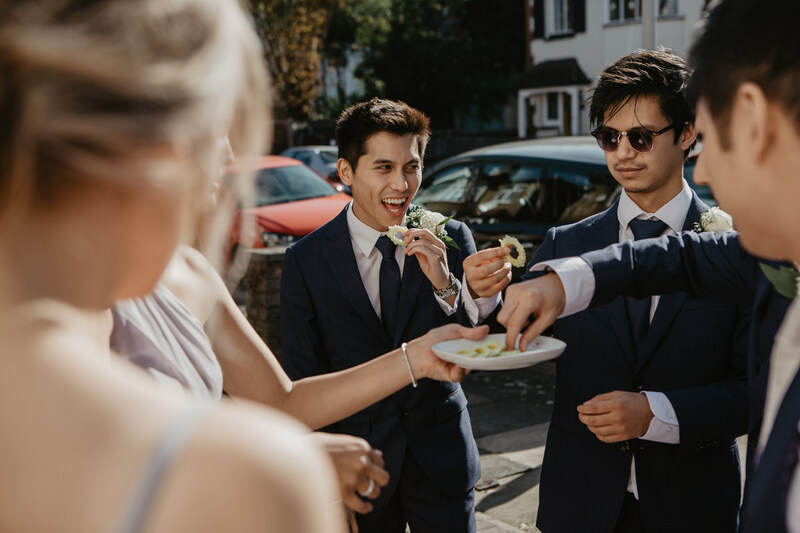 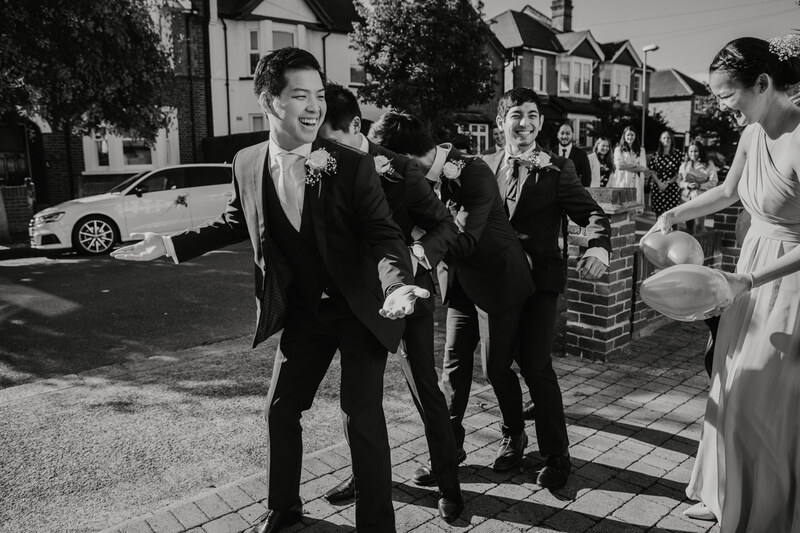 Jasmine’s bride squad had come up with some hilarious challenges for Vernon and his men; including bursting balloons with their crotch, eating a sweetie bikini off of the Groom, a sour taste test and a press-up competition. 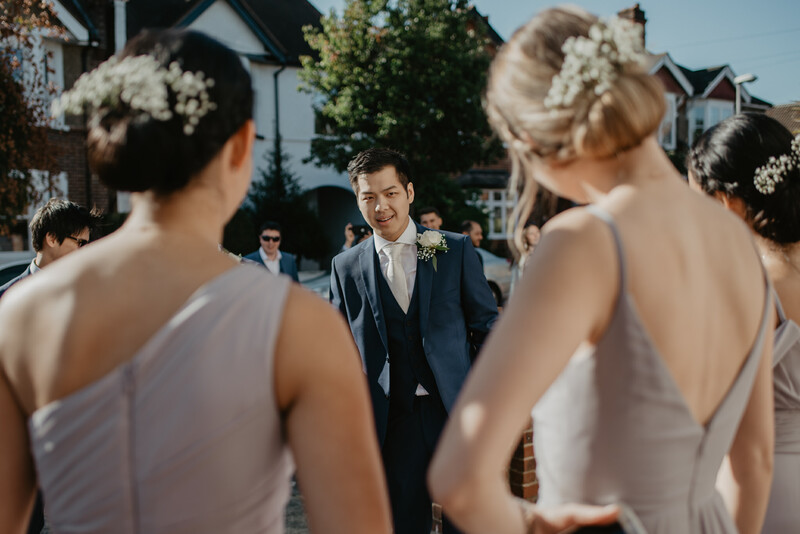 Although he’d had a pretty rough start to the day, Vernon got his own back a little by planning a naughty feat for the girls too – shots, to be precise (and this was about 9am)! 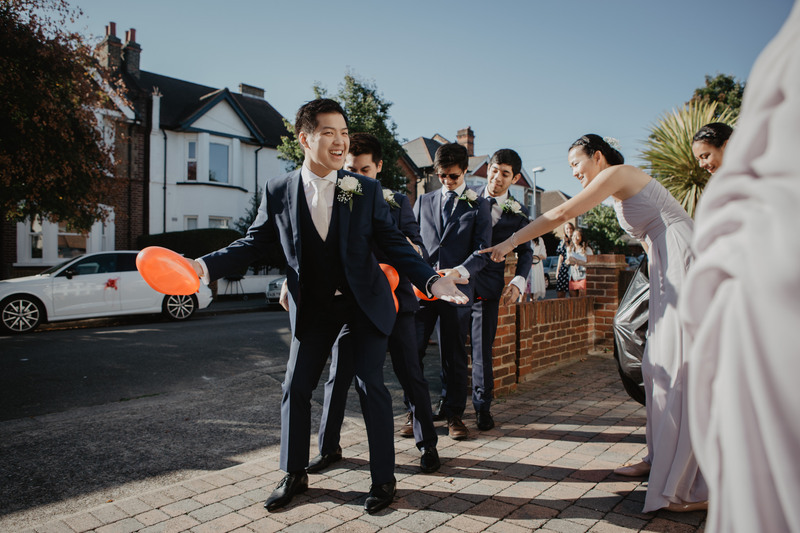 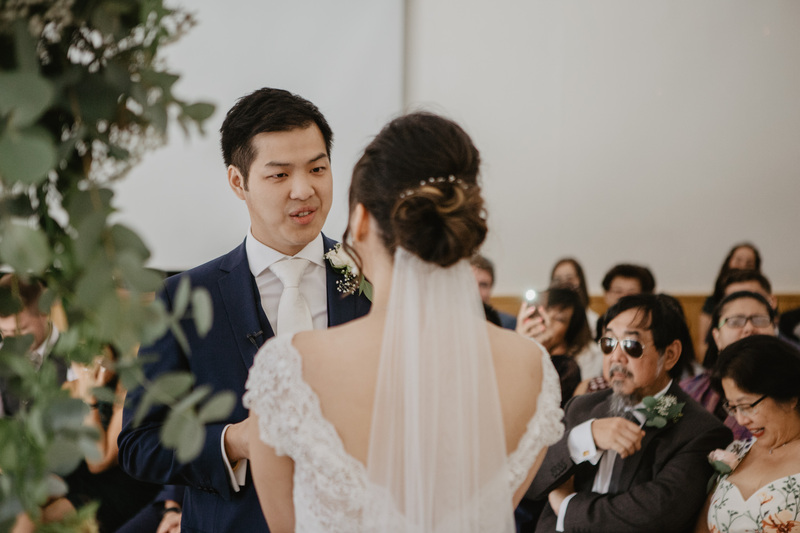 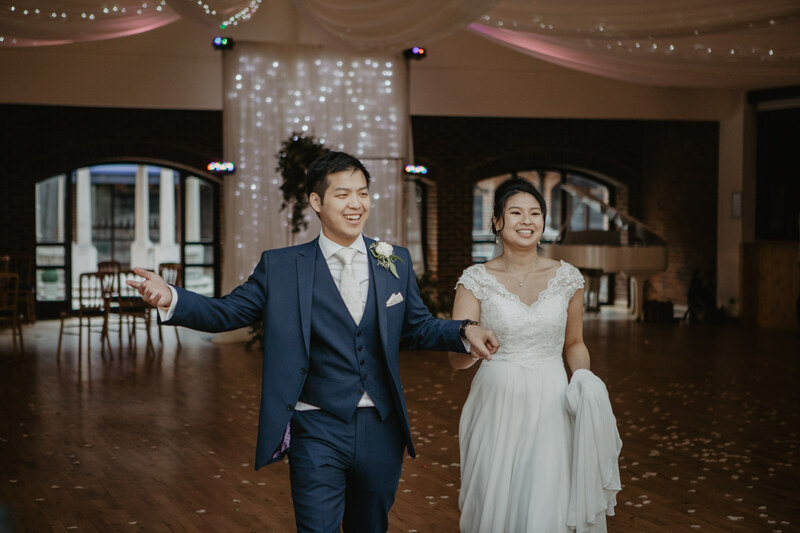 Finally, after successfully completing all that was thrown at him and a lovely rendition of Bruno Mars “Marry You”, Vernon was allowed into the house to collect his beautiful Bride. 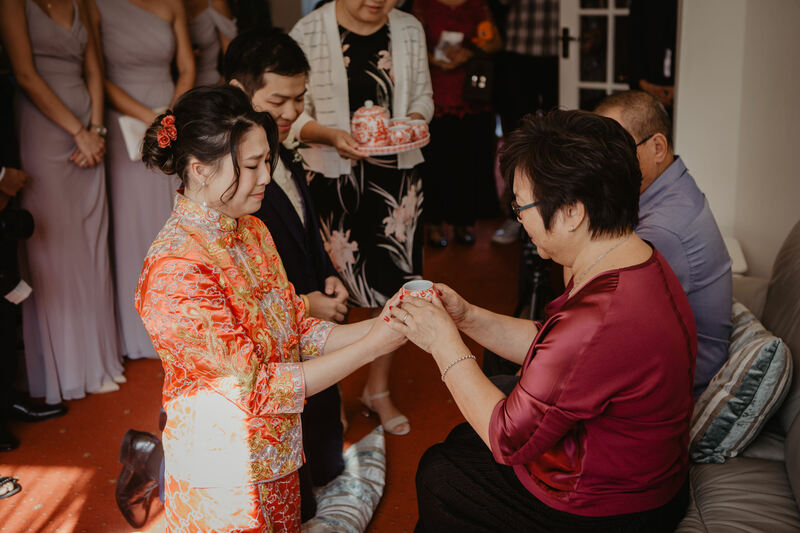 The day had barely even begun, for next we had another Chinese wedding tradition; the tea ceremonies. 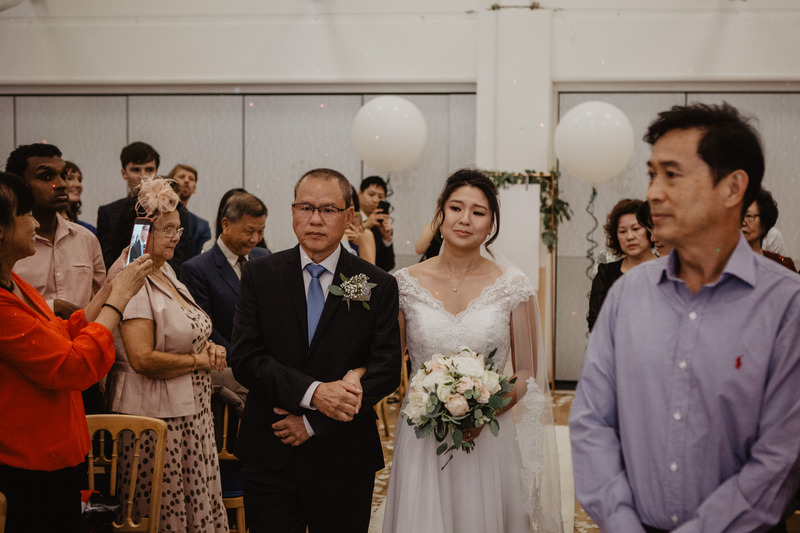 First with Jasmine’s family and then onto Vernon’s parents’ house, where they’d also prepared a tasty lunch for everyone. 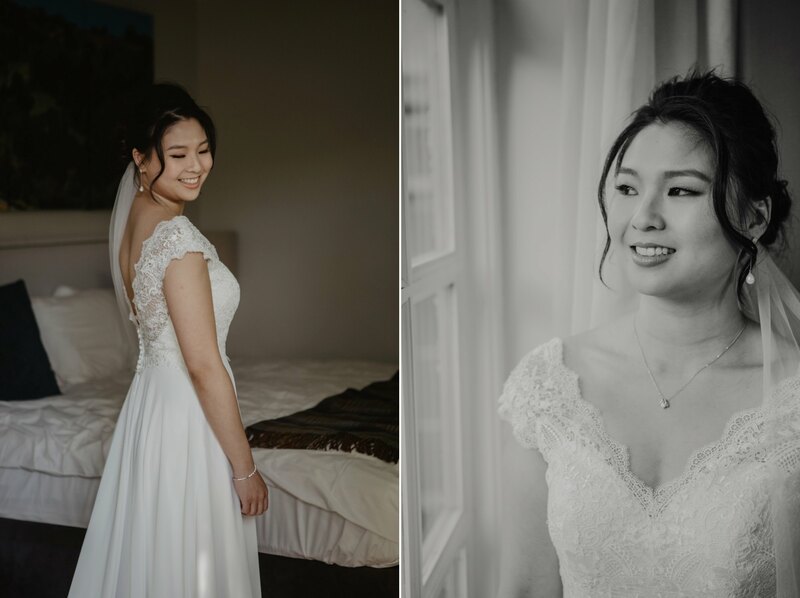 After lunch I headed off with Jasmine and the girls to a hotel near the venue, where she would change out of her Chinese gown and into her wedding dress. 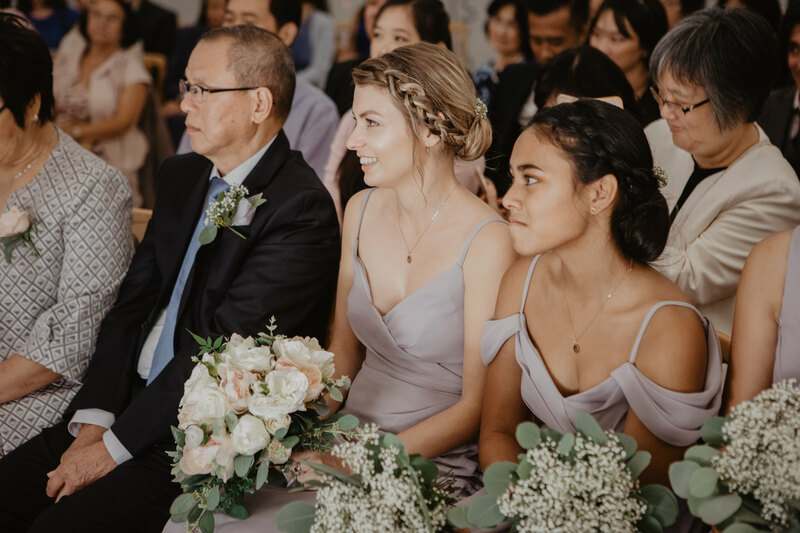 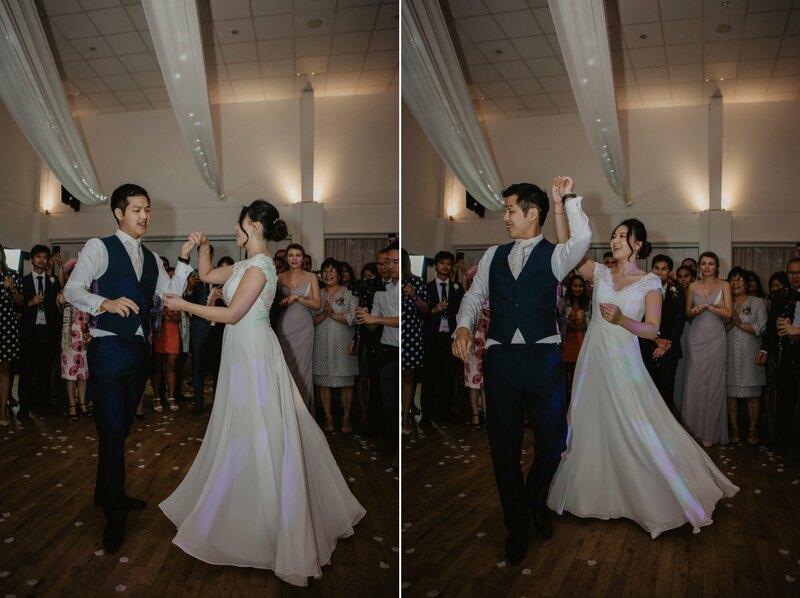 I loved how even though they’d already spent some of the day together, Vernon would still have a surprise seeing Jasmine walking down the aisle in her wedding dress. 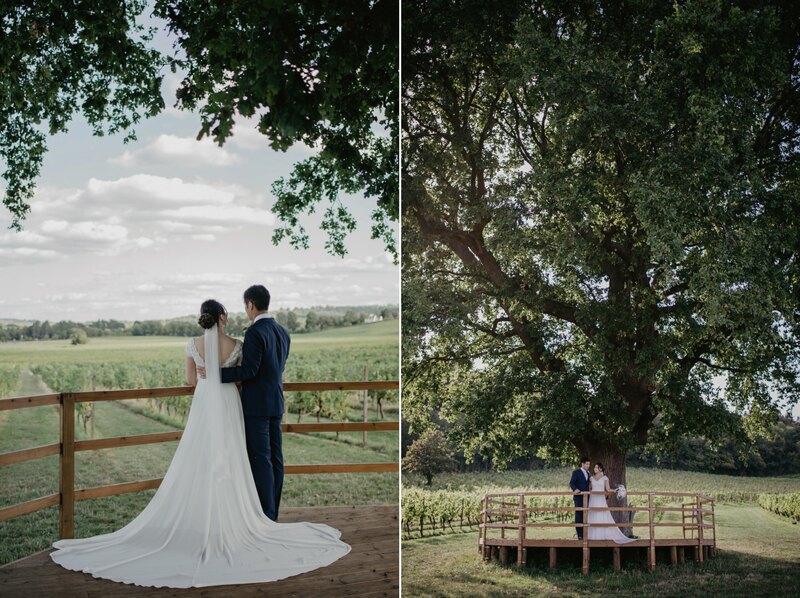 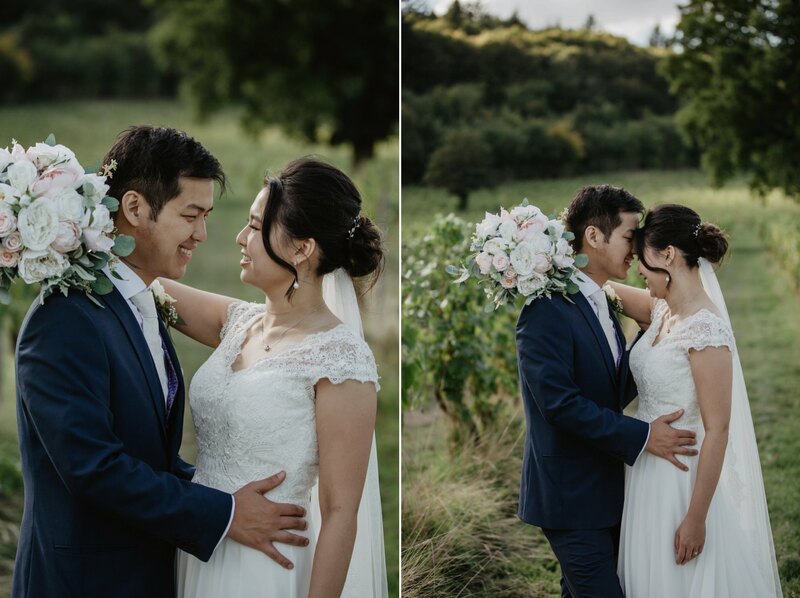 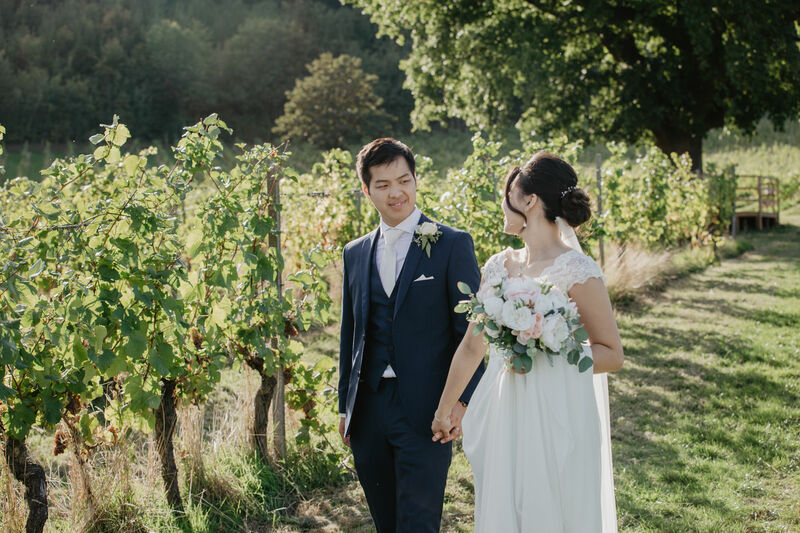 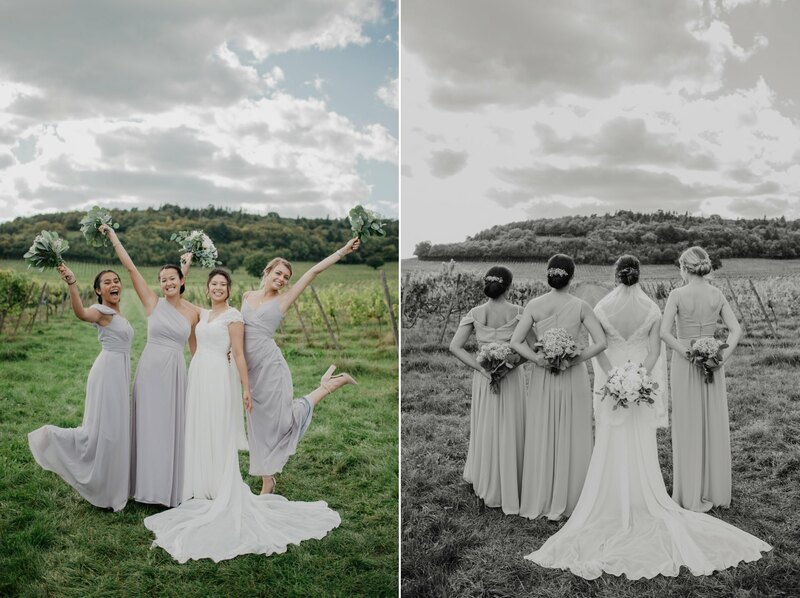 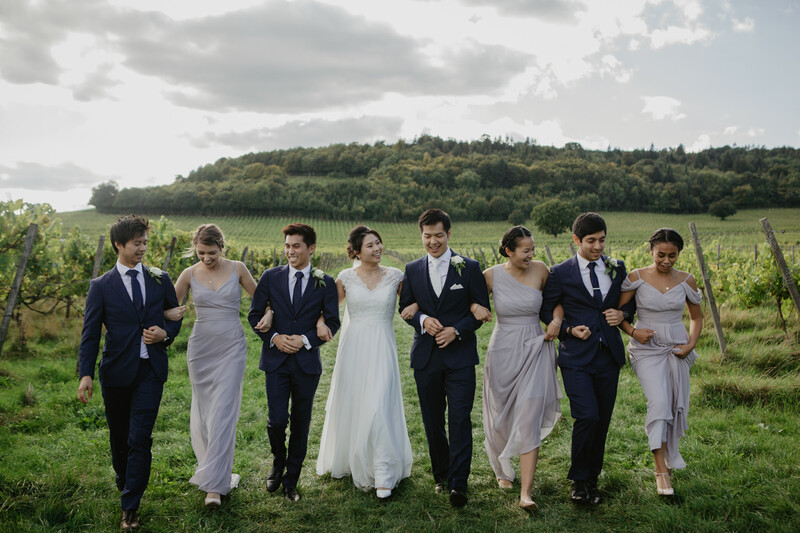 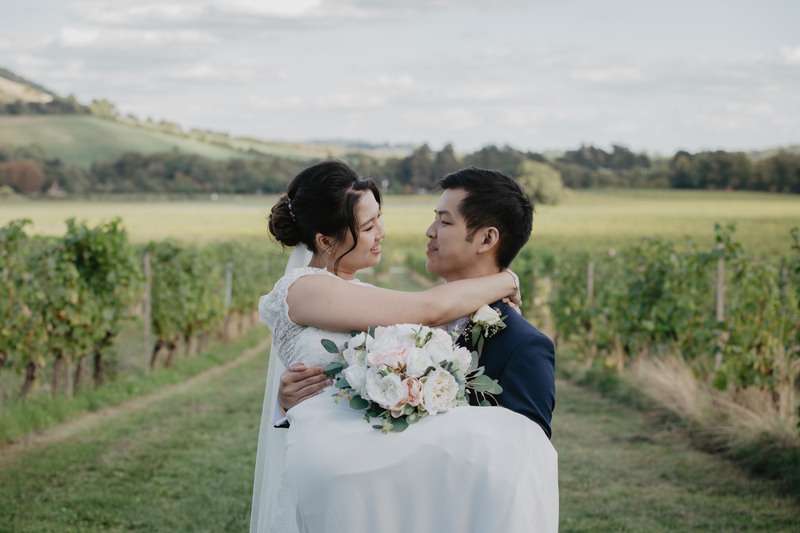 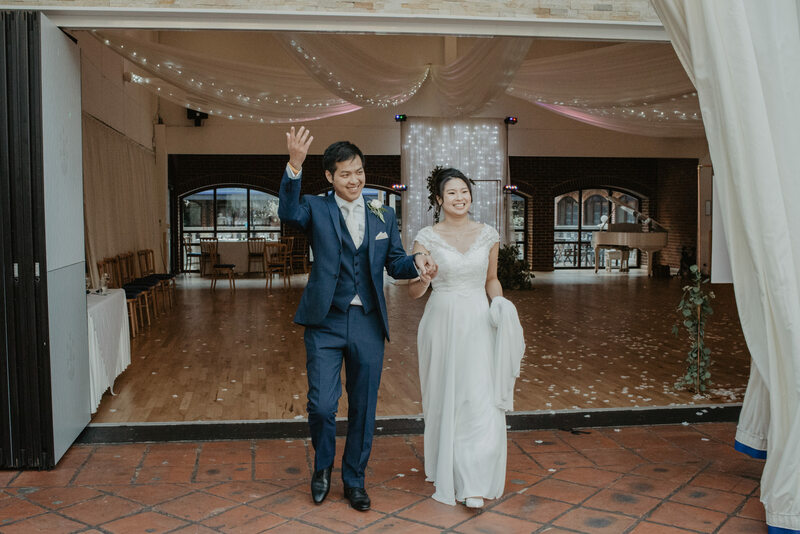 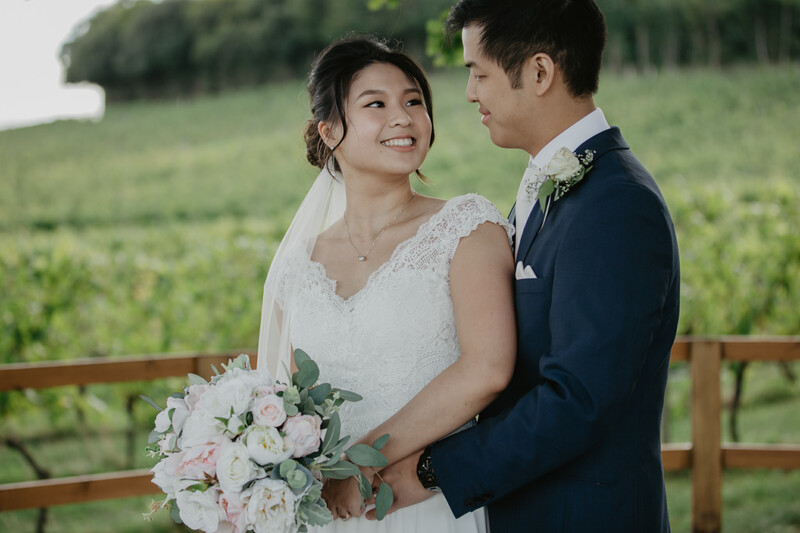 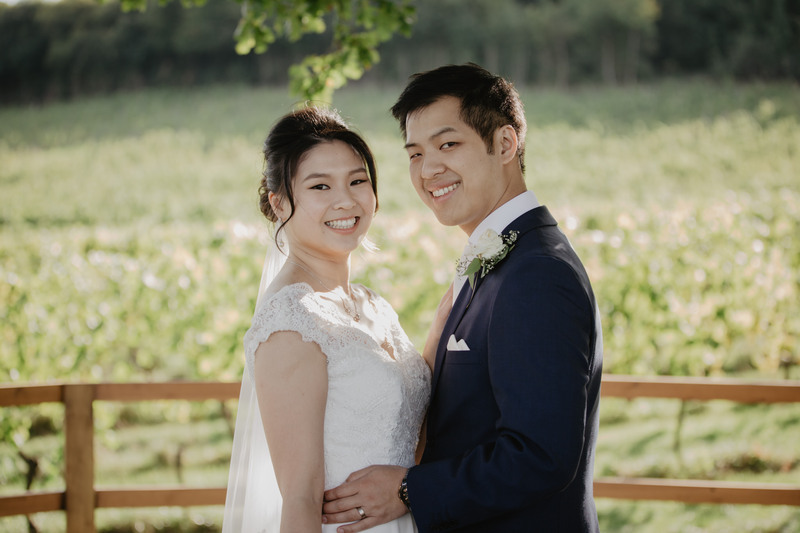 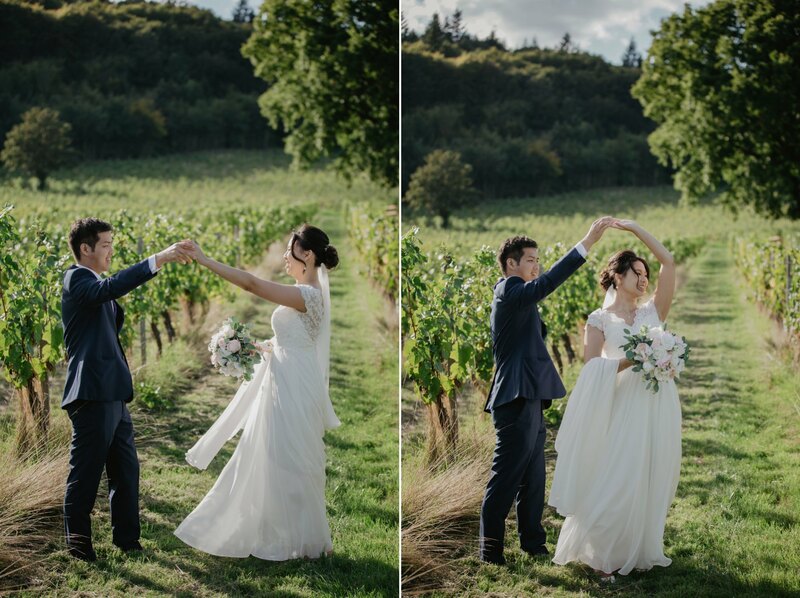 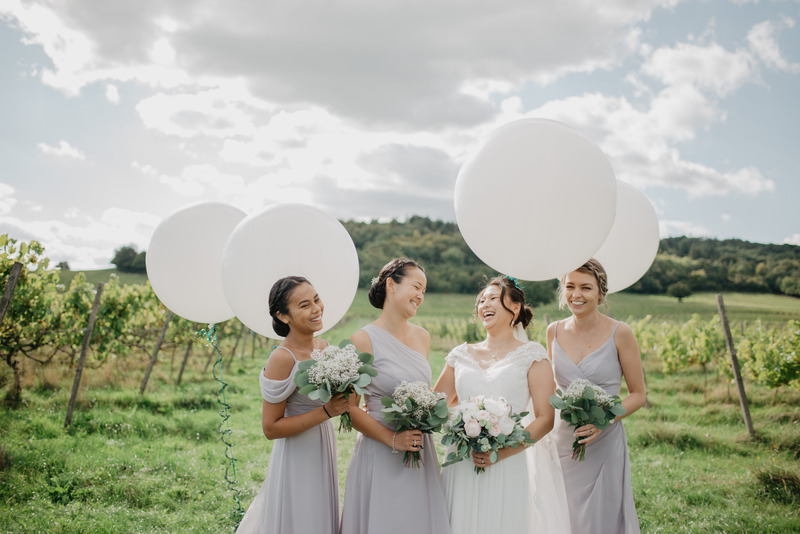 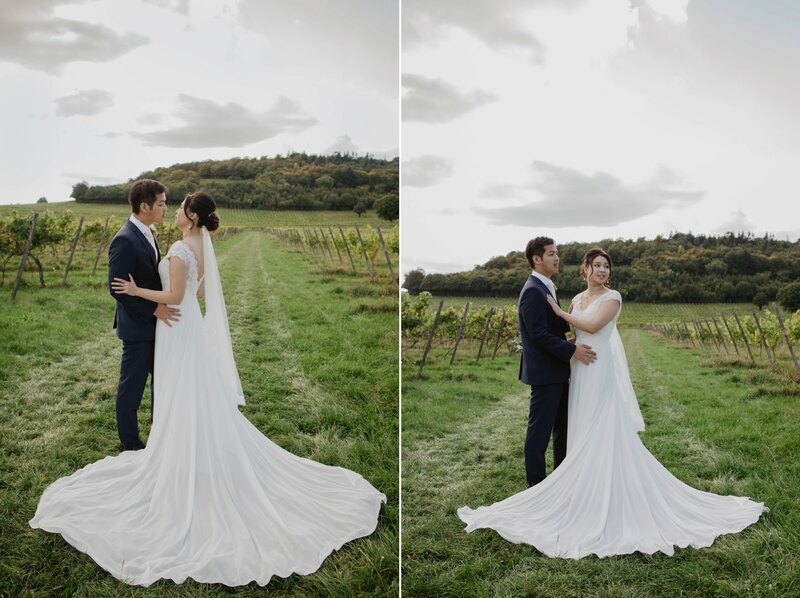 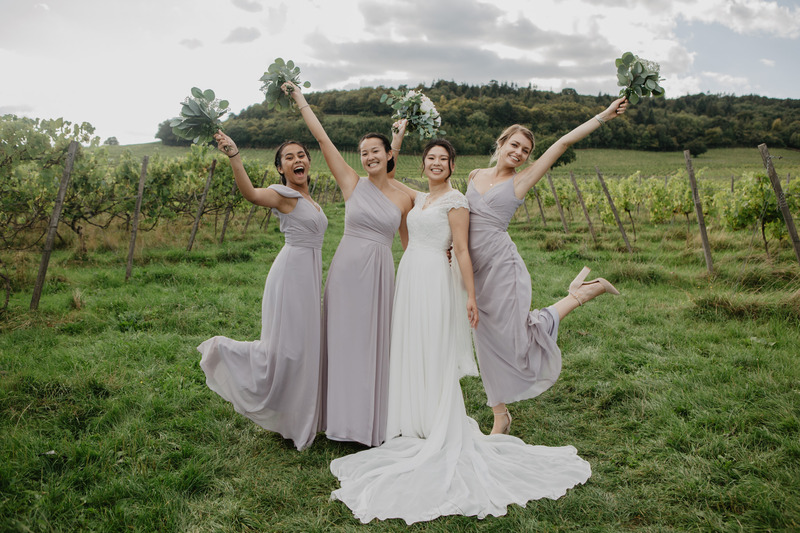 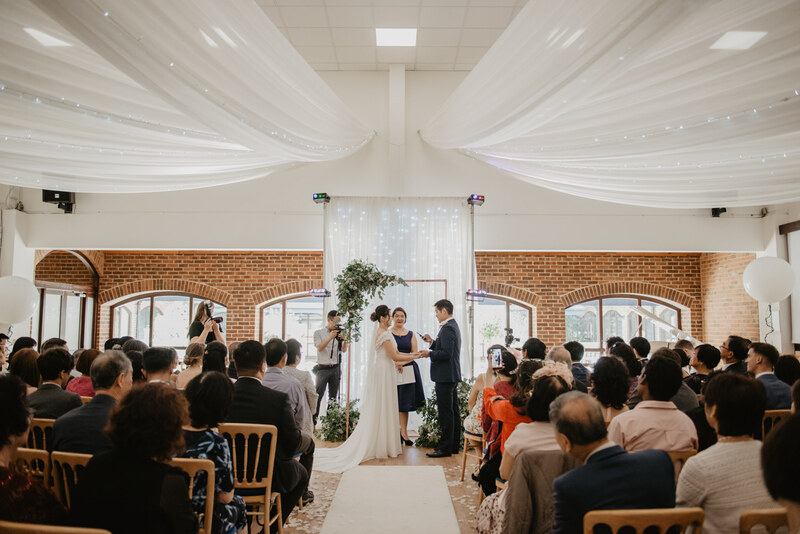 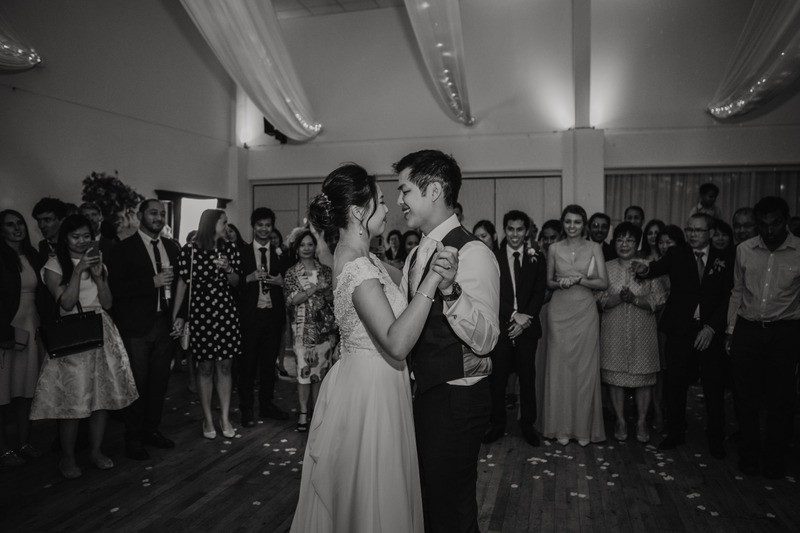 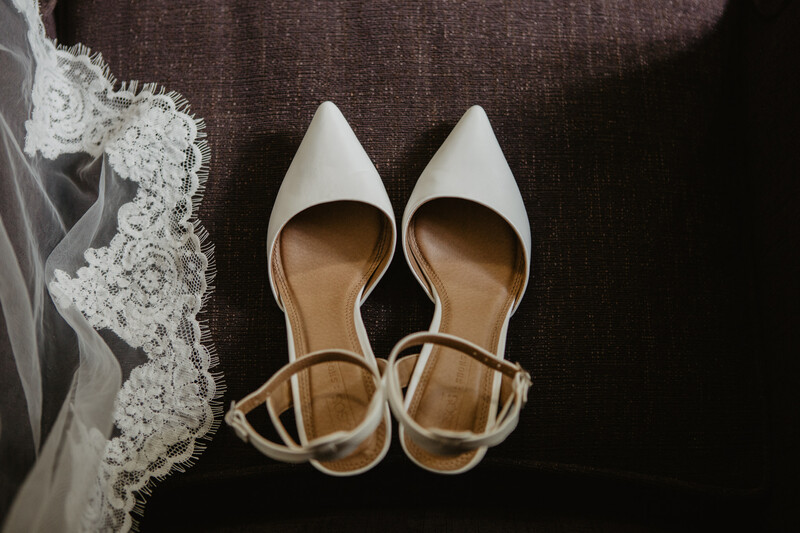 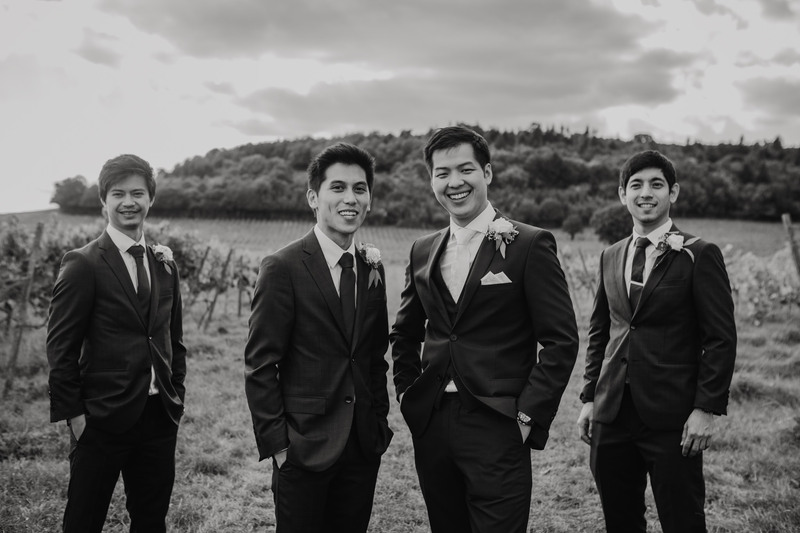 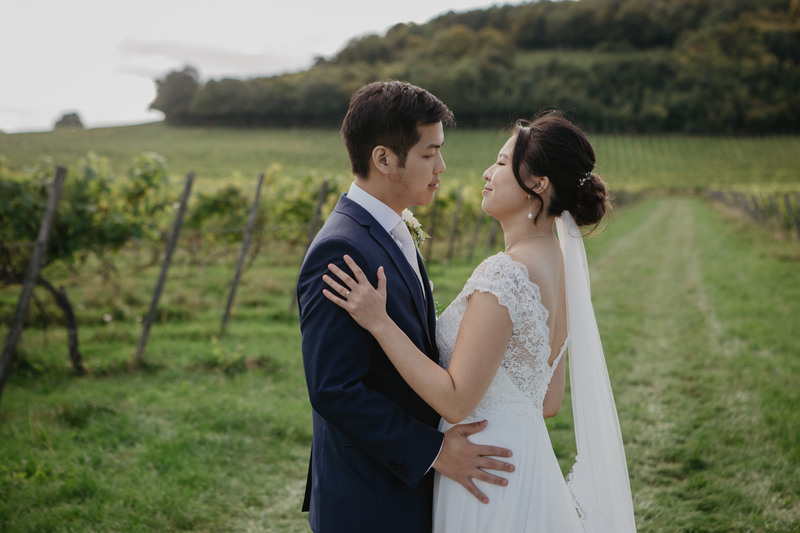 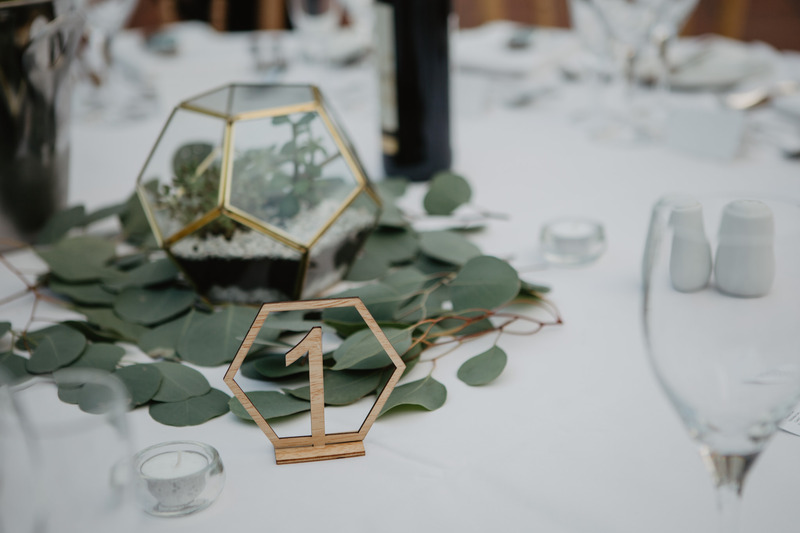 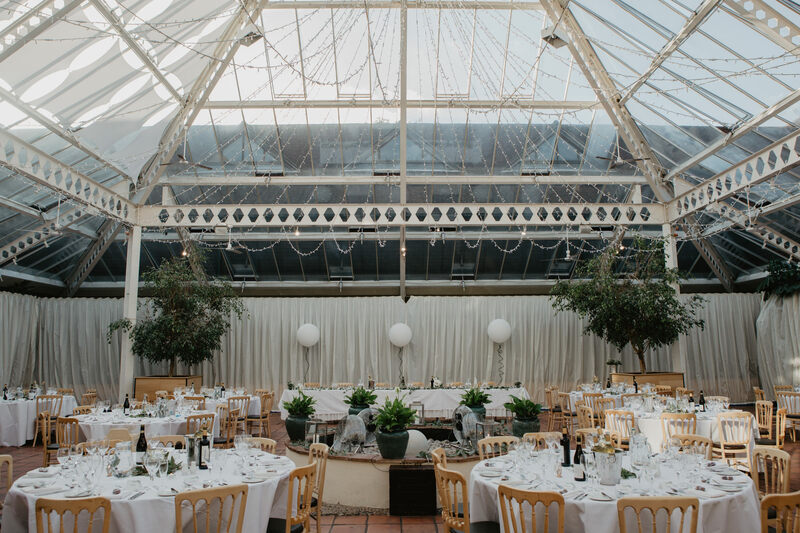 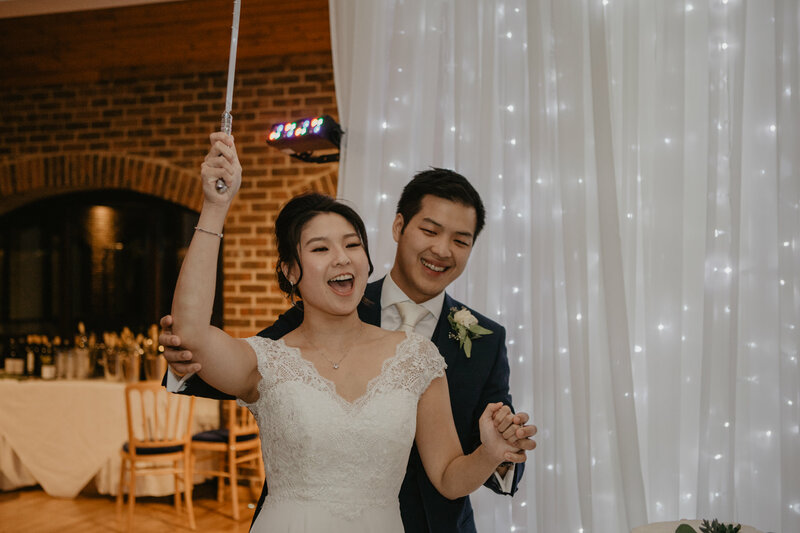 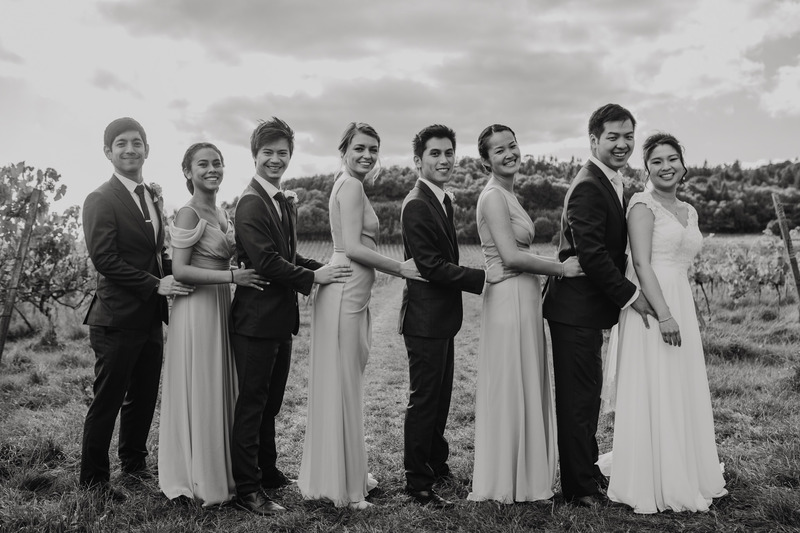 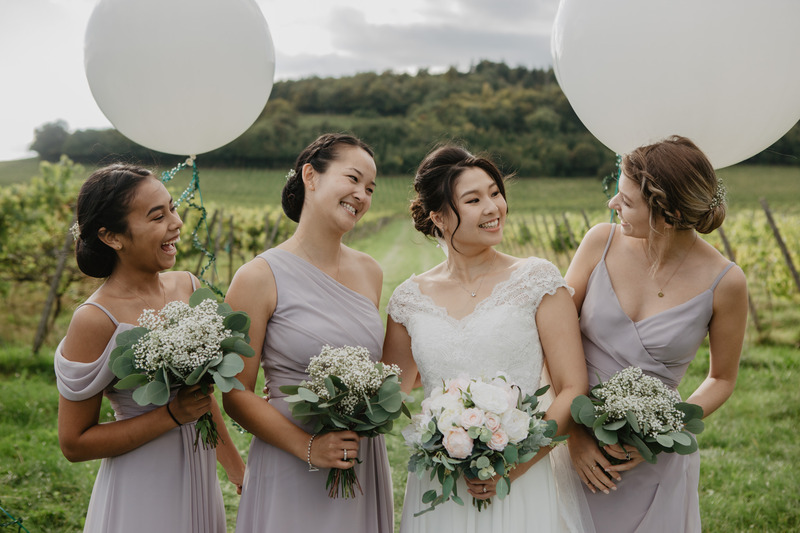 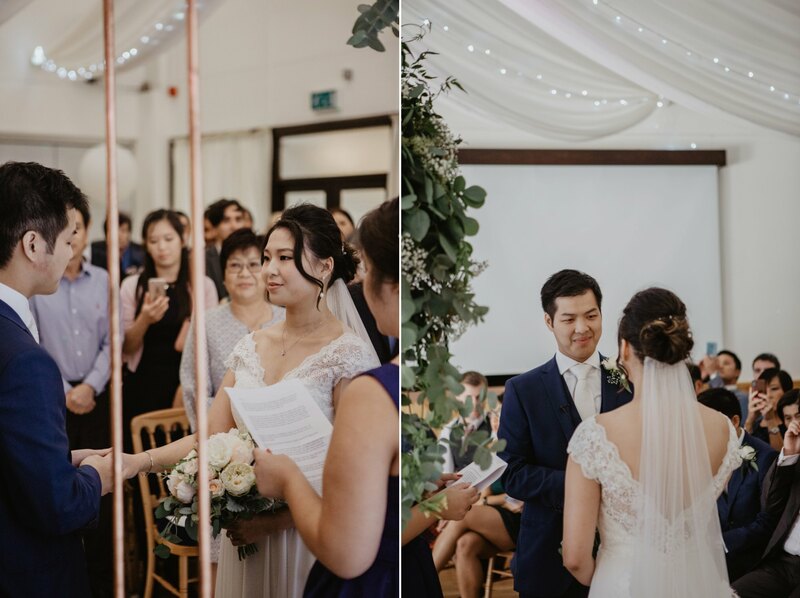 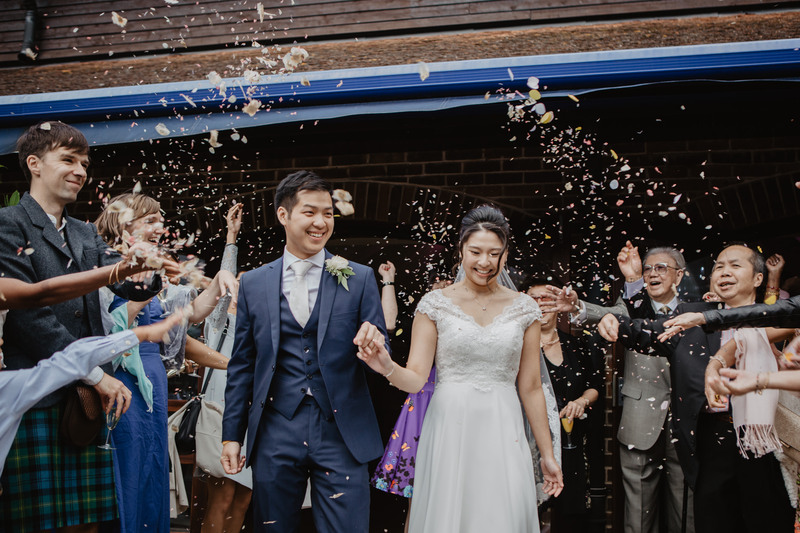 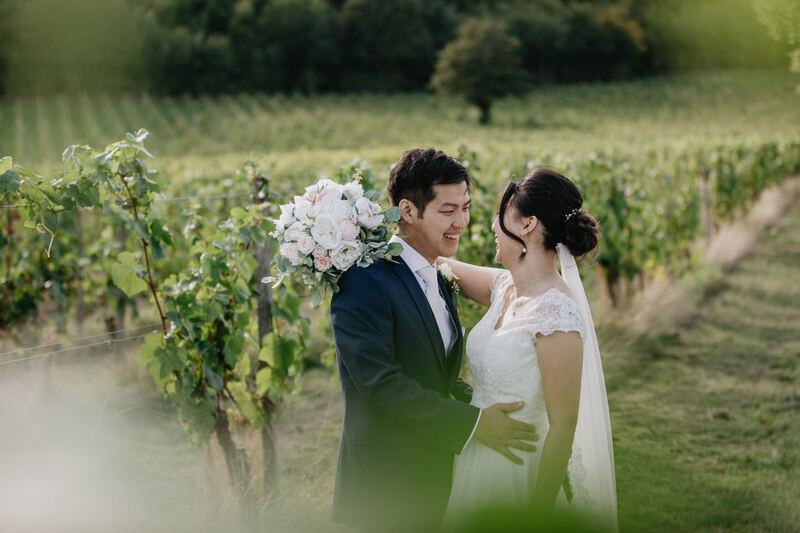 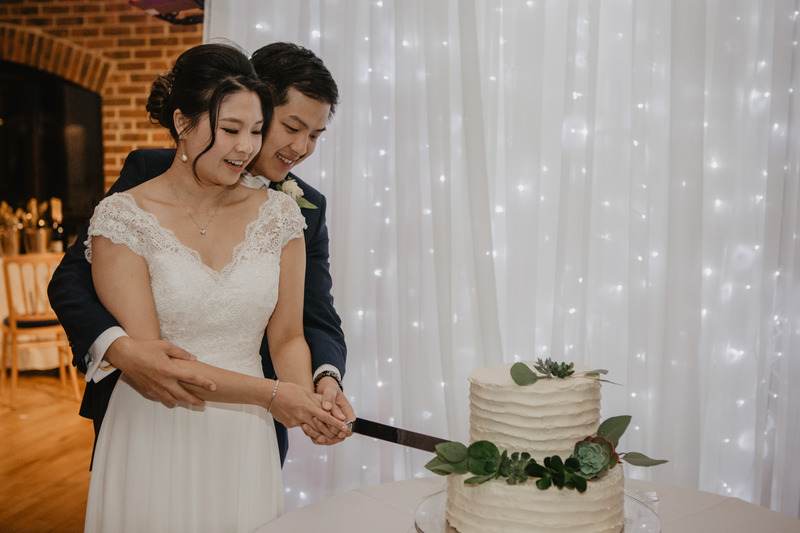 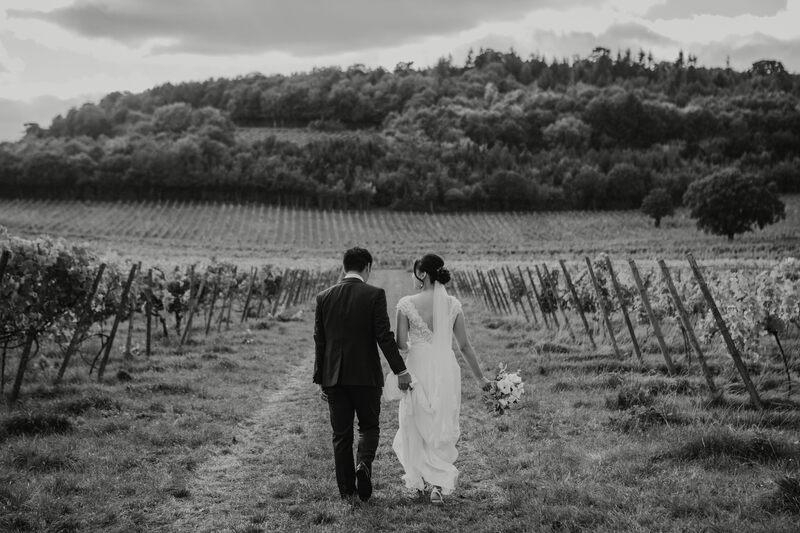 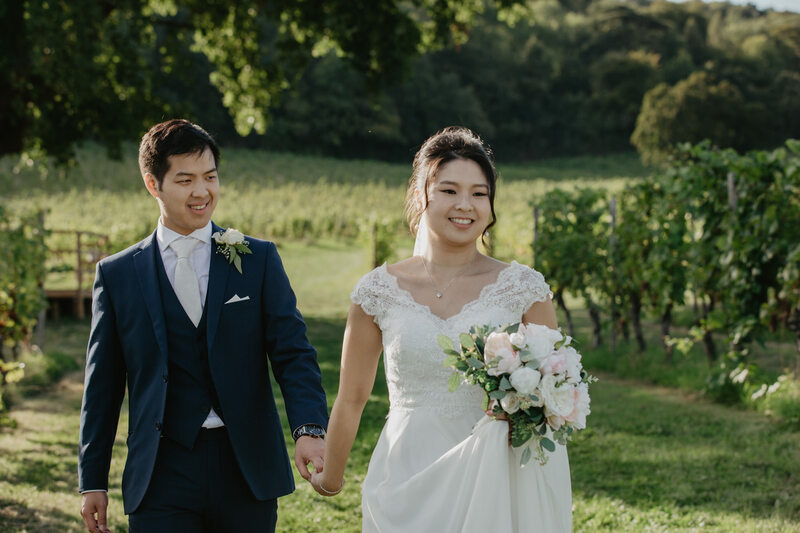 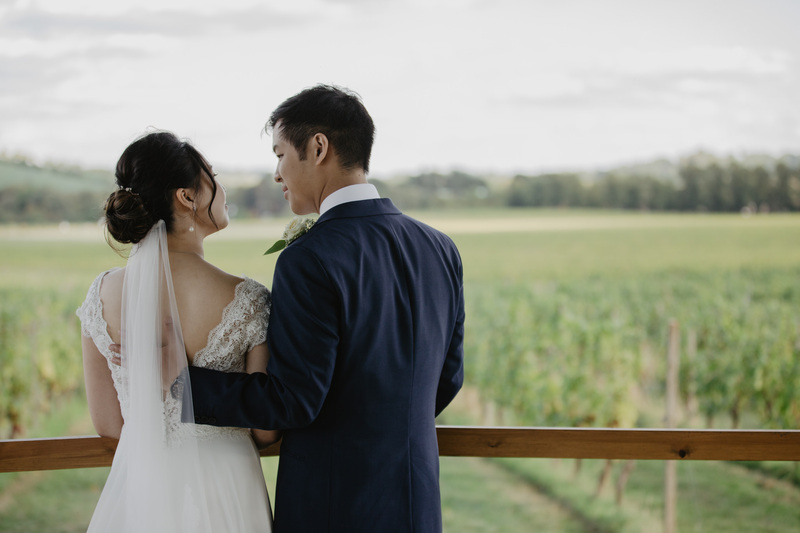 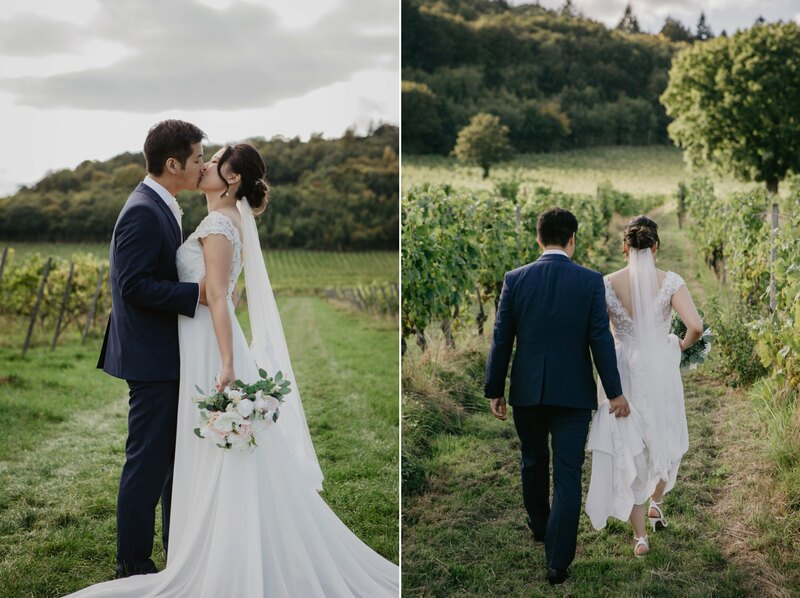 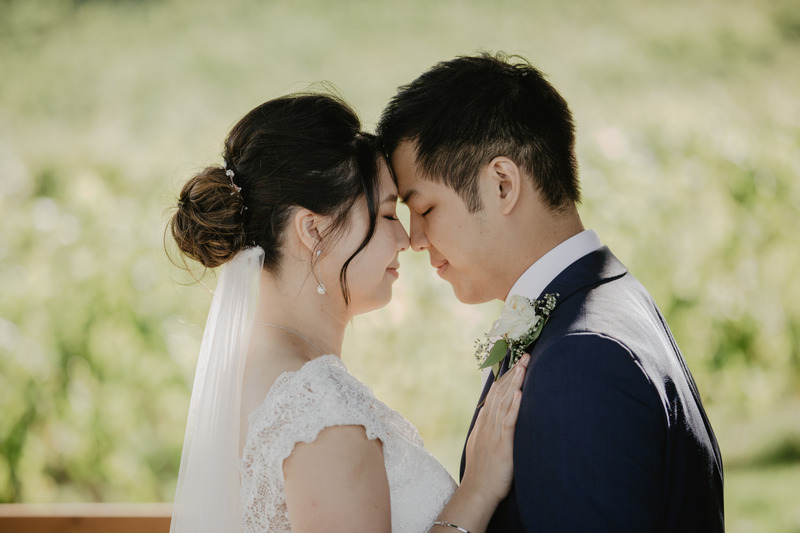 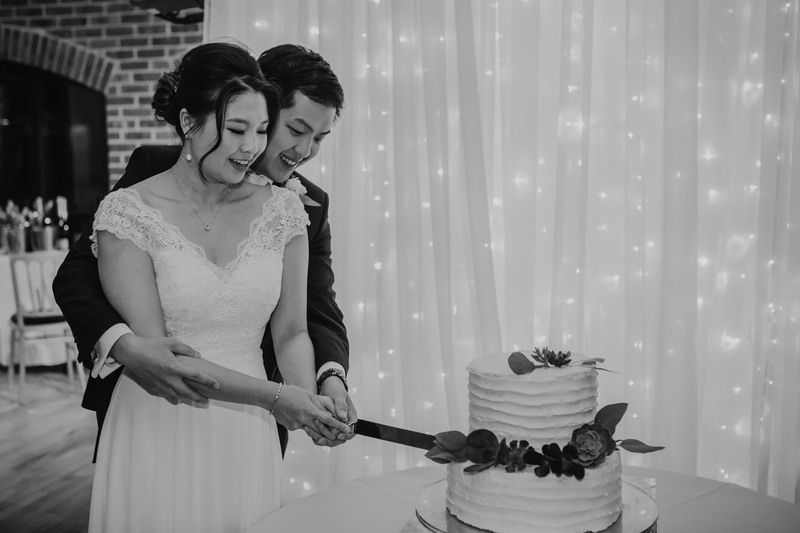 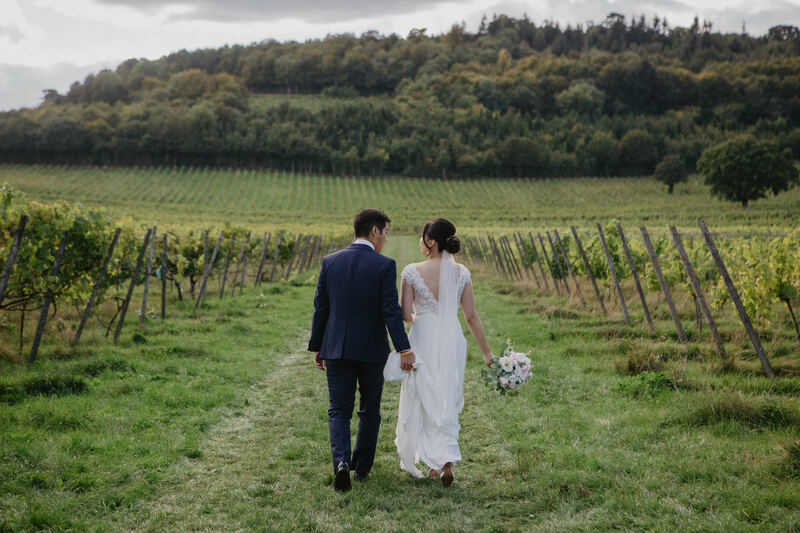 The ceremony and reception were held at the gorgeous Denbies Wine Estate in Surrey. 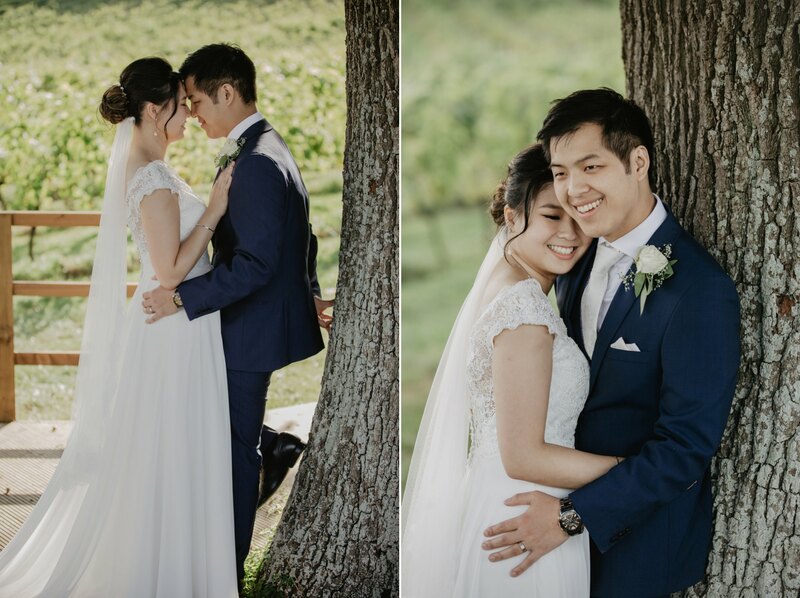 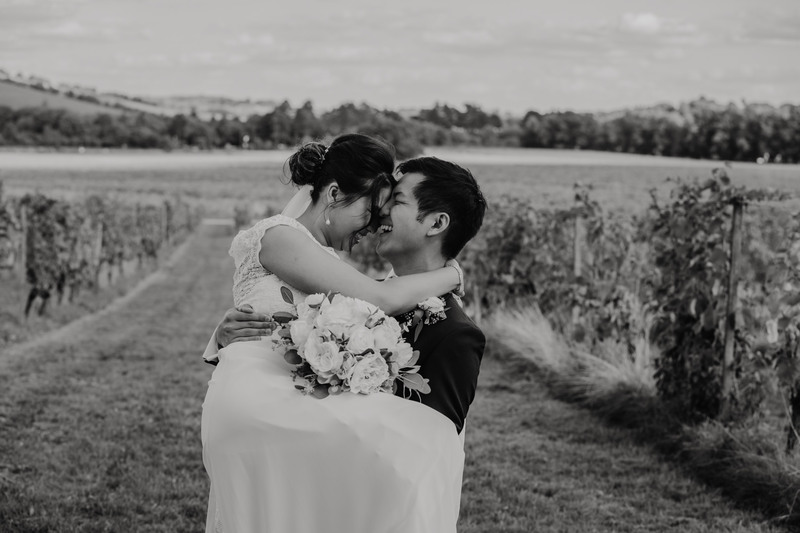 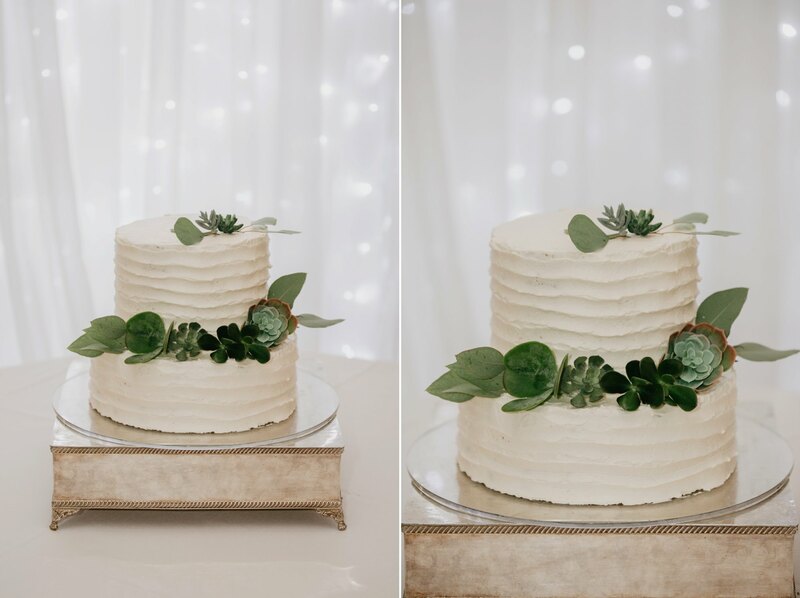 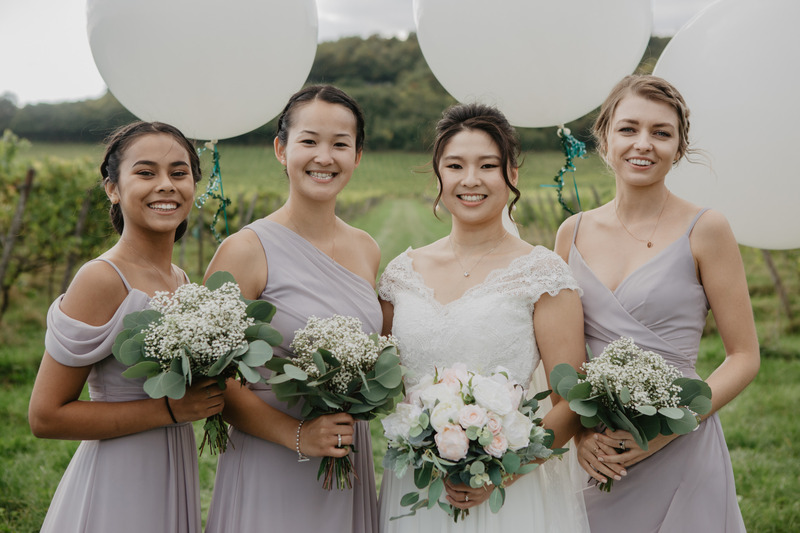 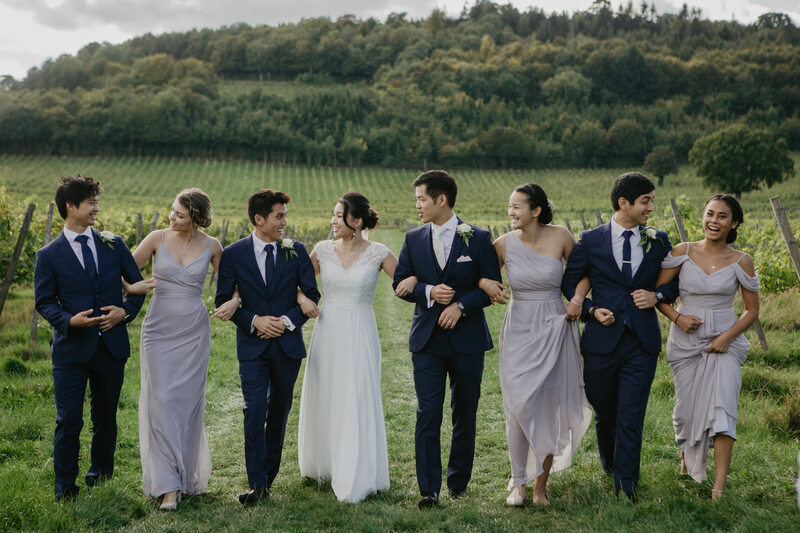 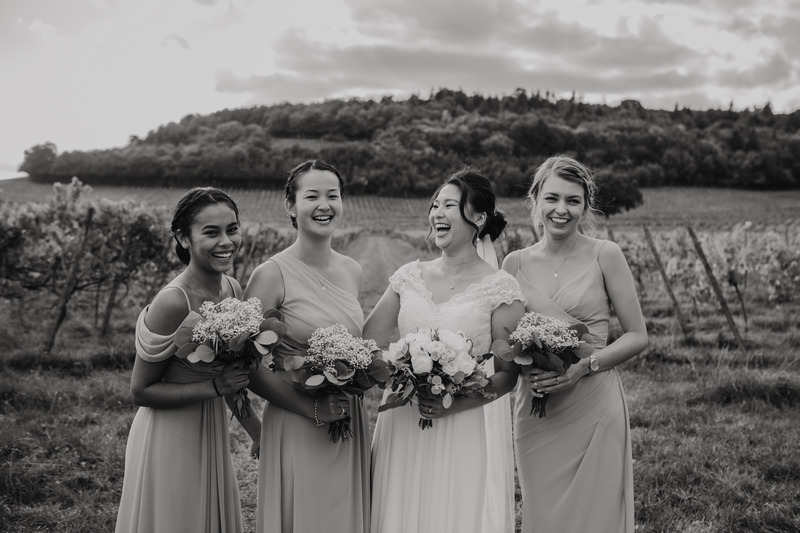 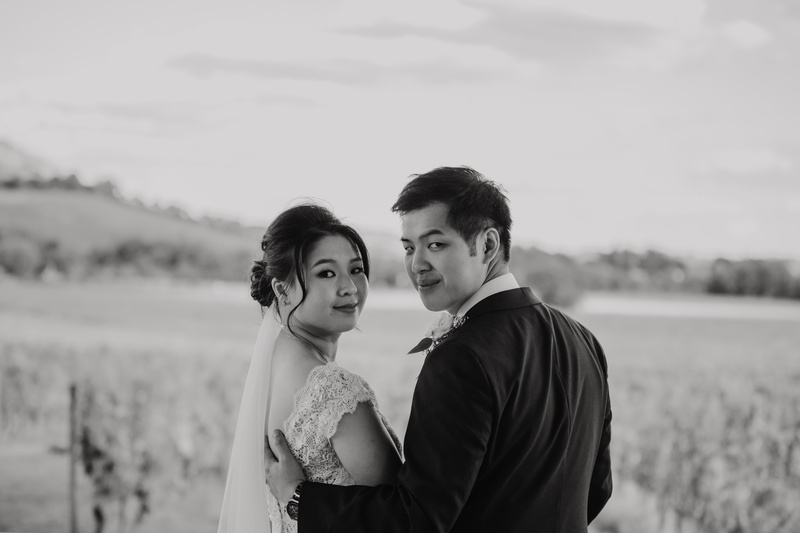 We had lots of fun roaming the endless vineyards for bridal party and couple photos (it was so hard to narrow the images down for this post!) 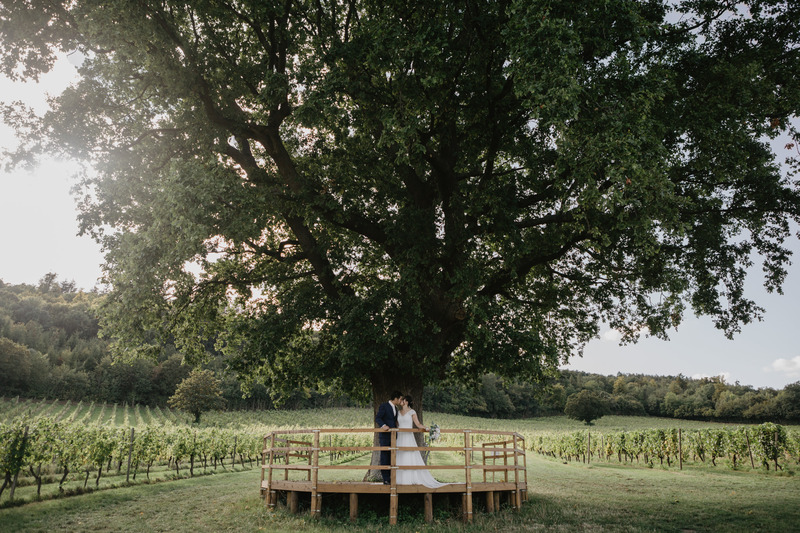 This venue has got to be one of my favourites of the summer just because there is so much potential for couple portraits. 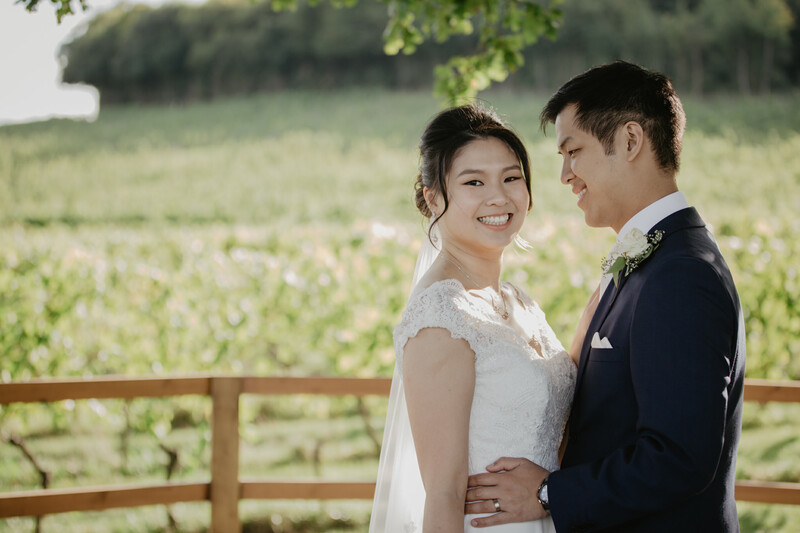 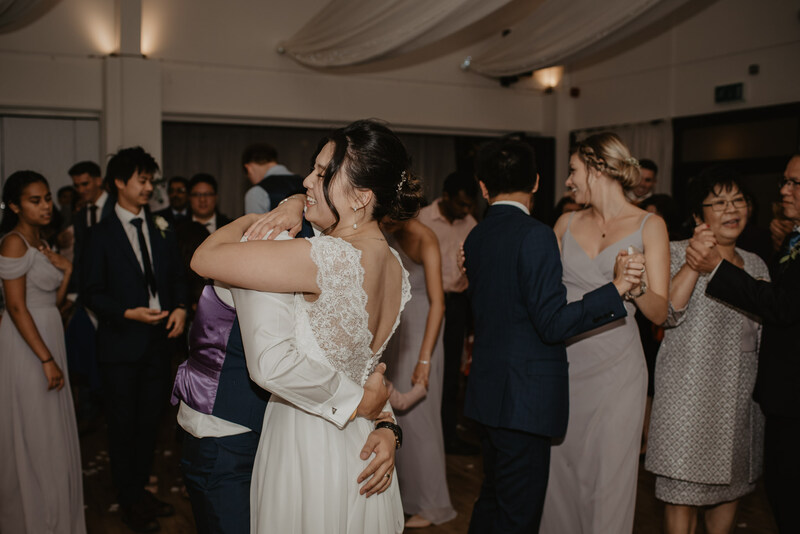 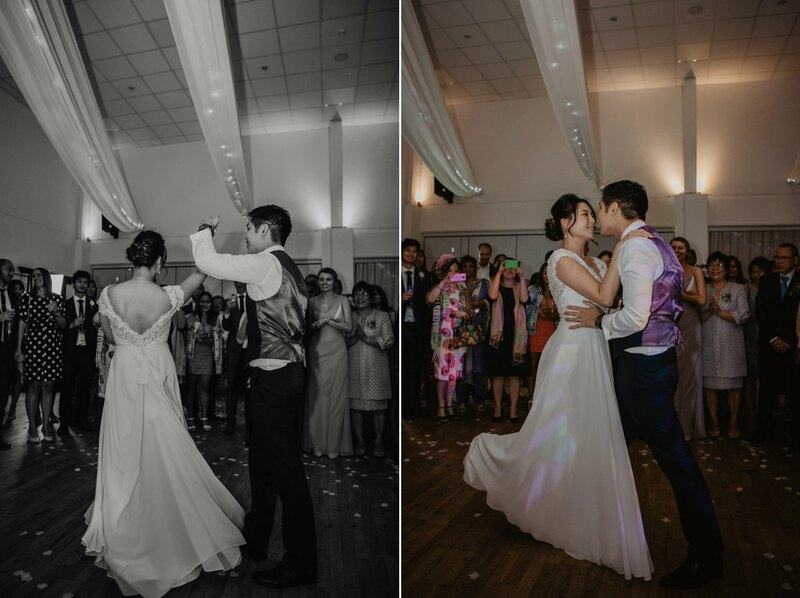 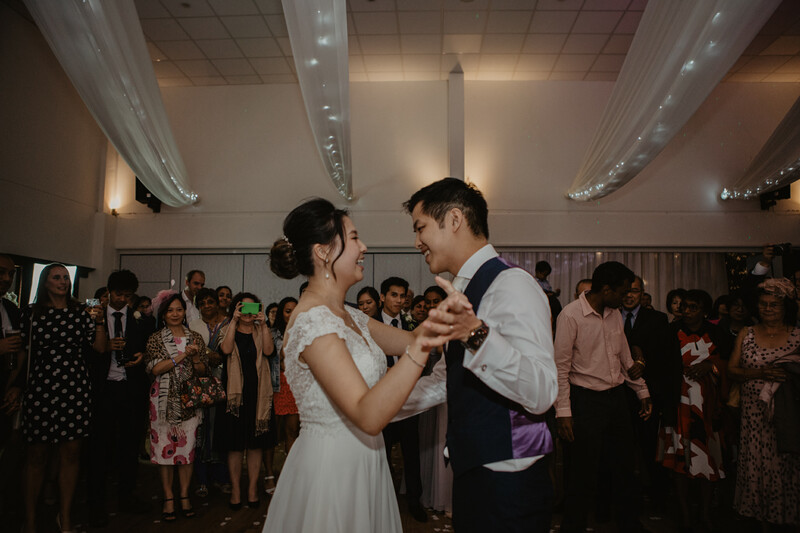 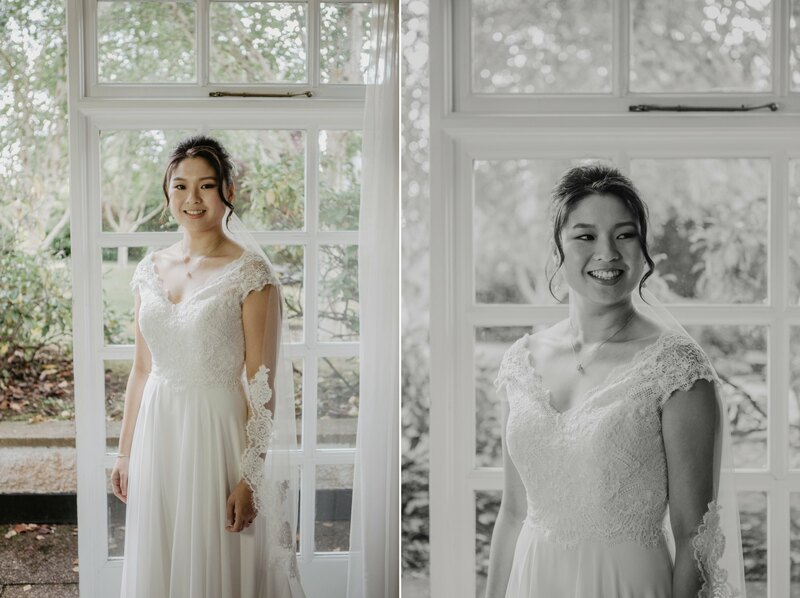 I really loved Jasmine & Vernon’s day, it was so much fun and I hope you enjoy looking through the photos!